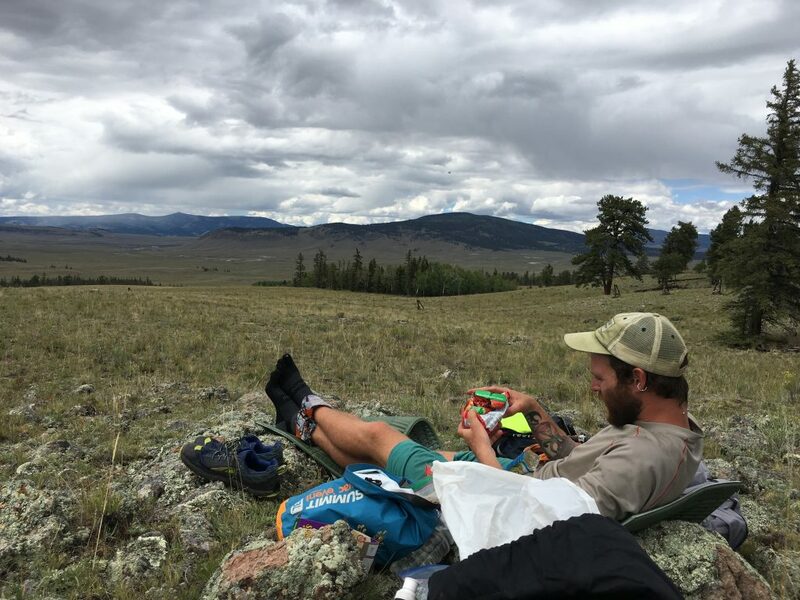 If you’ve spent any amount of time in proximity to the long distance hiking community, you’re likely aware that food is a frequently discussed topic. What will I pack in my resupply box? When is my next snack break? What will I eat in town? Food, food, food…and rightfully so, as thru-hikers burn through 3,000-6,000+ calories per day. It won’t take long and you’ll notice a common mentality surface: hikers need a lot of calories and the source of those calories doesn’t matter. In fact, some even claim that you need junk food to fuel a long distance hike because it’s assumed to be calorie-rich. This sole focus on calories is the thru-hiker calorie myth. I call B.S. You can finish a hike relying solely on processed carbs. I’ve seen hundreds of hikers do it, but it’s certainly not necessary, and you’ll likely plow through your body’s reserves and compromise performance in the process. If the junk food diet approach doesn’t interest you for whatever reason (i.e. long-term health, performance optimization, environmental impact, dietary restrictions), rest-assured that there are feasible alternatives. While the body can and will use any source of energy you give them, I’d submit that there are definite advantages to fueling on whole foods and significant disadvantages to relying solely on junk food. What is the ‘thru-hiker diet’? It’s hard to imagine a diet worse in quality and nutritional benefits than the Standard American Diet (SAD), which is an obvious culprit in the U.S. obesity epidemic (affecting 1 in 3 adults) and a strong contributor to the current chronic disease crisis (affecting 1 in 2 adults). But there is one diet that is arguably even worse, and that’s the standard Thru-Hiker diet. This diet consists primarily of heavily processed, packaged foods, which are loaded with preservatives, artificial ingredients, colorings, trans fats, and excess sugar. Of course, this way of eating developed because hikers need high calorie food, which is light, packable, and tasty, but many are unaware of the true impact of fueling on these foods, and the alternatives which exist. Why Not Maximize Performance, Health, and Enjoyment? It takes a lot of effort and sacrifice to bring a long distance hike to life. Why just survive out there when you could feel truly awesome? It’s simply a matter of tweaking something you’re already doing: eating. The intention of this post is not to impose guilt or even to persuade you to eat a certain way. 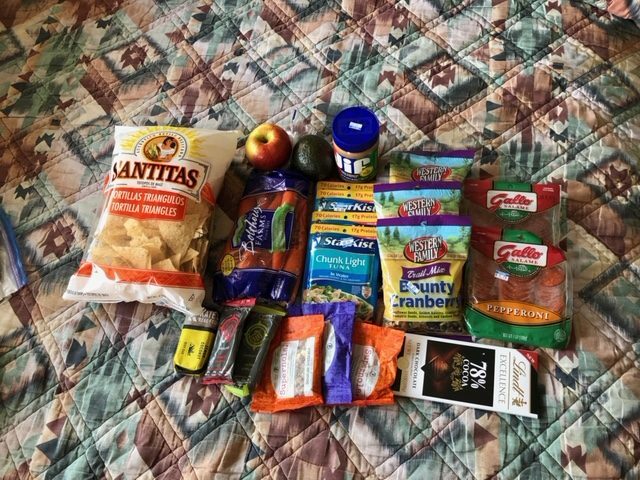 Rather, the intention is to provide a resource for those seeking an alternative to the thru-hiker junk food paradigm (as I was). On a deeper level, the intention is to provide a beacon of truth in a very crowded landscape of marketers who are trying to sell you their products. It’s to help you develop your own compass, so you can take control of your health (because no one else is going to do that for you). So, what are the downsides to fueling on junk food? What does the science say? What’s the alternative? When I refer to ‘junk food’, I’m referring to highly processed, packaged foods. They are often high in refined sugars and have lengthy ingredient lists containing additives, preservatives, food dyes, and artificial ingredients. Generally, they’re high in calories and low in nutritional value. ‘Whole foods’, on the other hand, are unprocessed, unadulterated, and generally quite close to the form in which you’d find them in nature. They are free of artificial ingredients and additives, and if they’re in a package at all, the ingredient list is short and consists of recognizable ingredients. Calories matter, but that’s not all you need. When you’re moving for 10+ hours per day, the obsession with calories is understandable. And while junk food certainly provides calories (though not always as much many assume), the primary downside is that it lacks the nutrients that will keep your body functioning optimally during rigorous physical demands. I often hear hikers say, ‘I’m losing weight eating this way. How can I be unhealthy?’. Frankly, on trail or off, the focus on weight in the overall picture of health is myopic. Energy balance is important, but your food should do more than just provide calories. When your muscles are strained as they are during a long distance hike, vitamin and mineral stores are depleted more quickly than when sedentary. These micronutrients are essential for athletes because they contribute to energy metabolism, amino acid synthesis, red blood cell synthesis, and overall reduction of inflammation (which increases during exercise). The increased nutrient turnover in athletes leads to an increased dietary requirement. Where are these micronutrients found most abundantly? Whole foods (especially fruits and veggies). 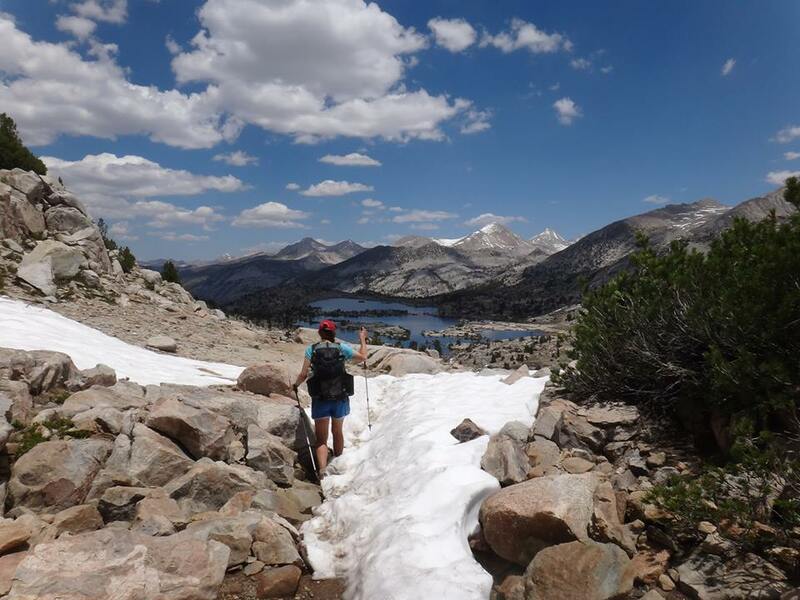 It’s commonly assumed that because thru-hikers are fit that they are healthy. However, you can absolutely be fit, but unhealthy. In a 2016 review in Sports Med-Open, the authors clarify the difference between fitness and overall health. What does inflammation mean for the hiker? When inflammation is high and persistent, it affects all body systems. In the short term, this means suboptimal performance, increased muscle soreness, longer recovery times, slower wound healing, increased susceptibility to illness, and less mental acuity. Not good when you’re hiking a marathon a day for 5 months. In the long term, chronic inflammation increases your risk for heart disease, stroke, type 2 diabetes, and obesity. The main drivers of inflammation in a typical hiker diet are refined sugar and trans fats. Refined carbs found in ultra-processed foods have been shown to promote overeating, negatively impact your microbiome, and damage your intestinal barrier, which we’ll go into in a moment. Junk food also tends to be high in omega-6 fatty acids, which can contribute to inflammation when not balanced with omega-3 fatty acids. Additionally, the food additives found in many processed foods have been shown in mice studies to contribute to colon cancer and inflammation. Highly refined vegetable oils as well as sugar, both found abundantly in junk foods, provide the raw materials for inflammation in the body. Furthermore, it has been demonstrated that in healthy populations, reliance on fast foods and sugars is positively correlated with symptoms of metabolic syndrome. While this may not manifest during a hike, it’s still something to consider as you choose your food for a multi-month thru-hike. You can decrease the likelihood of ending your hike early by changing what’s in your food bag. The full body inflammation caused by excess intake of ultra-processed foods increases susceptibility to injury and illness. In 2017, injury and illness accounted for 17% of AT hikers quitting their thru-hike attempt. Chronic inflammation also suppresses your immune system, thereby causing slower wound healing and slower recovery. It’s not uncommon to endure small wounds on trail, and quick healing reduces the chances of developing a serious infection that could end a hike. Intricately tied to inflammation is the health of the gut lining. Sugar and refined ingredients, as well as several food additives and preservatives, have been shown to disrupt the digestive system and contribute to intestinal permeability. This is particularly true when exposure is chronic. It’s helpful to remember that your liver has to process everything that you put into the body. Think of it like a water filter. Think about what happens when you filter from a dirty cow tank, for instance. It’s often said that thru-hiking success is 90% mental. Whether you agree with that or not, there’s no doubt that the mental game is a huge part of successfully completing your adventure. And what you eat directly affects your brain. Steady blood sugar helps you make better decisions and stay motivated over the long haul. 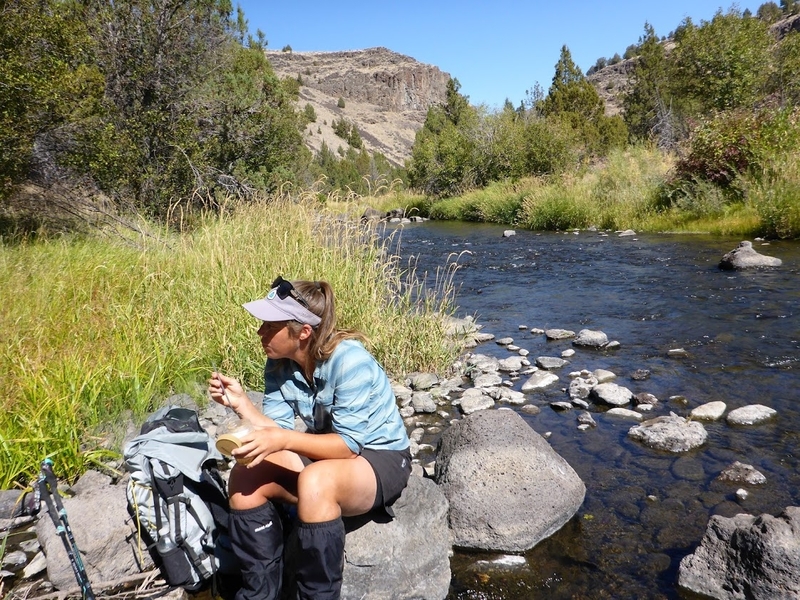 Eating a nutrient-dense diet also helps with navigation and making smart decisions in the backcountry. Energy Imbalance & Bonking: One ticket for the energy roller coaster, please. Another aspect of relying on processed carbs all day is the effect on your energy. When you eat food, your blood sugar levels rise, and your pancreas releases insulin to shuttle glucose from the bloodstream into cells. This is a good thing. It gives you energy. However, how quickly your blood sugar rises and falls depends on the source of the energy. Refined carbs alone will cause a rapid spike and then crash in blood sugar. You’ll crave more sugar and start the cycle over. This is the energy roller coaster and once you’re on it, it’s hard to get off. More complex carbs, on the other hand, along with eating healthy fat, fiber, or protein with meals and snacks will slow down the response and provide more sustained and lasting energy. Think about tending a fire. You need the kindling for a quick burning fuel source and you need logs for a long sustained burn, so you’re not constantly feeding the fire with kindling. Carbs are the kindling and can be great for quick energy, but pair them with fats and protein for more sustained energy. When you rely solely on simple sugar all day, you tend to have a lot of energy spikes and crashes. Completing a long hike requires long days. The key to having sustained energy and hiking big miles is avoiding the spikes and crashes by steering clear of highly-refined, processed foods. Consuming foods devoid of nutrients leaves the body unsatisfied, even when a large amount of calories have been consumed. This leads to endless hunger and results in buying and carrying more food than you may actually need. A 2019 study indicated that people eat more on an ultra-processed diet than on a whole foods diet. Just by cutting out the processed foods, your hunger will naturally regulate itself. Studies also suggest that a high micronutrient diet (vs. a low micronutrient, but high calorie diet) can not only help you experience less hunger, but can make the hunger symptoms more tolerable. While many hikers aren’t trying to lose weight intentionally, most would agree that it’d be nice to not constantly feel ravenous. Ultimately, when you’re hungrier, you eat more. When you have to eat more, you have to buy more and carry more, which obviously results in more money spent and a heavier pack. A heavier pack not only decreases enjoyment, but can lead to increased wear and tear on the body, and ultimately to injury. Of course, there’s the very real fact that your body is working hard and needs a lot of calories, but most hikers I know who’ve shifted to more whole foods don’t seem to have the same level of hiker hunger as those eating only processed foods. Repetitive behaviours turn into habits in as little as 3 weeks. When you’ve been training your body for months to eat and crave junk food, it can be difficult to shift to healthier patterns once you return home. The consequences on your body and mind are real. It may seem like no big deal at the onset, but most of us know how difficult it can be to retrain ourselves and form healthy habits. 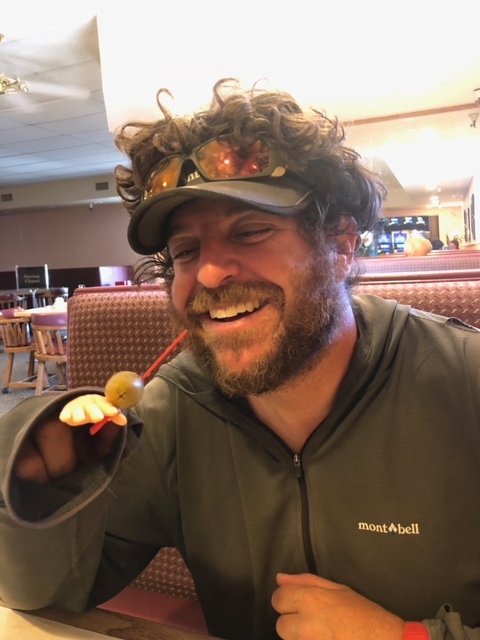 An infrequently discussed topic in the hiking community is adjusting to life post-trail, especially when it comes to eating and health. Hikers may lose weight in the short term, but over the course of a few years, a highly processed diet contributes to obesity and metabolic syndrome (two of the mostly costly worldwide epidemics), and mounting evidence suggests that these foods also play a part in immune-mediated metabolic dysregulation. This is relevant for the hiker who is taxing her system on trail and needs a healthy immune system to remain strong and resilient, both in the short and the long term. It’s not uncommon to hear hikers joke about having two wardrobes: one for hiking season and one for non-hiking season. Obviously there’s a massive decrease in physical activity which can lead to rapid weight gain if one doesn’t regulate food intake. Consider that it’s easier to regulate food intake when 1) you’re eating whole foods (as cited above) and 2) your taste buds haven’t been trained to crave highly processed foods. It’s rarely discussed, but when hikers return home and attempt to shift their diet, it can also be emotionally challenging. Cycles of binging and then restriction are not uncommon and are worsened by cravings for highly palatable, ultra-processed foods. This can not only lead to a disturbed relationship with food, but can contribute to the post-trail depression many experience. We’ve already covered the increased risk of metabolic syndrome from eating a processed diet over the long term. A junk food diet is more likely to result in cardiovascular disease and autoimmune conditions that will affect you long after you’re off the trail. Processed foods are also more likely to cause allergies. We evolved with whole foods and we’re only beginning to understand the health implications of the alterations being made to foods, such as genetic engineering, pesticide residues, and the addition of preservatives, food colorings, synthetic chemicals, and more. As a reminder, highly processed foods were not created the way they are for your health. They were created to be cheap for the companies to make, to have a long shelf life, and to make you eat more. You’re literally up against billions of dollars of research and food scientists focusing solely on those outcomes. When reading headlines or even when looking at the literature, it’s helpful to look at who sponsored the study and how it was conducted. For example, the Academy of Nutrition and Dietetics (formerly the American Dietetic Association), the world’s largest association of nutrition professionals, was funded by Coca-cola until 2015, and many of their ‘Fact Sheets’ were written by industry sponsors. This is the organization Registered Dieticians (RDs) are credentialed through. This is not at all to imply that there are no ethical dieticians, but rather to suggest that you might consider looking into the research for yourself. Look at who is funding that study telling you that candy bars are healthy. Again, it’s not about moralizing food and saying that some are ‘good’ and some are ‘bad’. But it is true that some foods contribute to overall health, while others are more likely to cause your health to deteriorate. Be informed. Finally, the environmental impact of our choices is something we all need to be aware of. Industrial, highly-processed, GMO-filled foods increase the profits of mega-corporations at the expense of the environment we love so much. Interestingly, in Beyond Backpacking, originally published in 1992, author Ray Jardine suggests that in regards to backpacking food we “consider not only the whims of our taste buds but the physiological need of our bodies and brains… If our journeys degenerate into battles, in terms of lost energy and mental buoyancy, then I think those battles are usually won or lost in the grocery stores, rather than on the trails”. Somehow, the junk food diet became the norm in thru-hiker culture, which seems odd, really. In what other realm do you see athletes pushing to the edge of their physical limits by fueling on the worst foods they can find? Fueling for energy, endurance, and overall health does not have to difficult or expensive as many hikers believe. At a very basic level, just do your best to eat real food. Yes, food manufacturers have made it more difficult to do this. However, with a few simple tips (see below) and a bit of practice, you’ll soon be a pro, reaping the benefits of increased energy, endurance, mental acuity, and long term health. Removing the junk from your food bag doesn’t mean you need to go buy expensive foods marketed as ‘sports’ foods (like clif bars or gatorade). Many of those are just candy bars in sheep’s clothing: similar ingredients with a marketing spin. Whole foods from bulk bins are often less expensive and, as covered earlier, you’ll likely need to carry less to fuel you. If you’re not eating the ultra-processed stuff, where will you get your carbs? Carbs are an important part of fueling a long hike, but you can get them from dried fruits, tubers, legumes, whole grains and other real food. Relying on the highly processed ones is not only unnecessary but can be damaging to your performance and long term health, as discussed. When it comes to eating for endurance, and overall personal and planetary health, I tend to follow a credo more than a specific diet. I don’t like the word ‘diet’ because it conjures up ideas of strict rules and restriction, which is not what I’m suggesting. A credo is more of a set of principles that guide your actions and beliefs. Think of your food choices as a continuum with a 100% Junk Food diet on one end and a 100% seasonal, organic, unprocessed, local (SOUL) diet on the other end. This framework helps me work towards making better choices when I can, but not getting so caught up in rules and ‘shoulds’ that I give up entirely. Here are a few of the basic principles and how you can apply them to your next outdoor adventure. Focus on whole, unprocessed foods on trail. Nuts, seeds, dried fruit, and dehydrated veggies are all great choices. There are lots of ideas online and you can also check out my free Eat for Endurance ebook for more ideas. 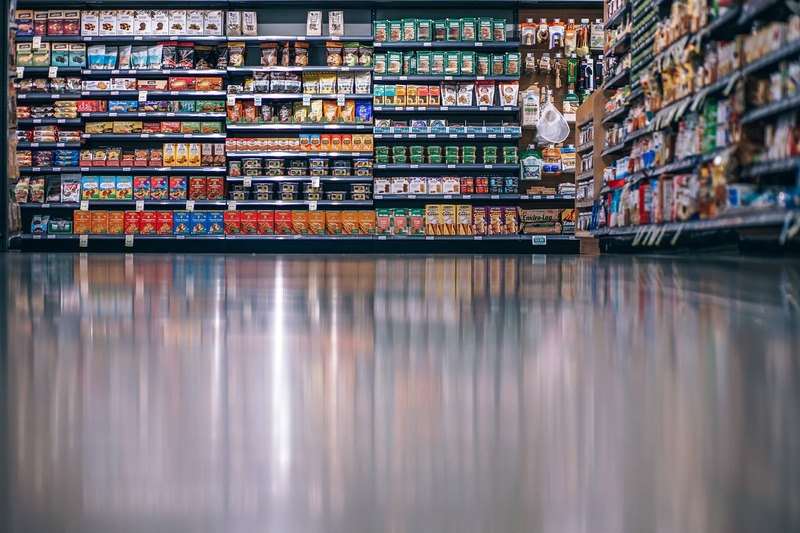 Read labels and avoid excessive added sugar, trans fat, and additives like artificial sweeteners, high fructose corn syrup, sodium nitrate, sodium sulfate, food dyes, potassium bromate, and MSG. The shorter the ingredient list, the better. This free Healthy Hiker Grocery Guide has some of my favorite options. Send resupply boxes to places with limited options. Don’t be stuck eating gas station food for a week because you didn’t plan ahead. You’ll feel gross and you’ll compromise your energy and performance. Here’s how I plan my resupply boxes. Make up for micronutrient deficiencies in town by choosing fresh vegetables and salads instead of (or at least in addition to) pizza, burgers, and beer. Add in a greens powder, such as athletic greens, amazing grass, or organifi each day.This can make up for micronutrient deficiencies on a long hike. Swap out some candy for dried fruit. If your body is craving quick energy, eating fruit will give you a quick dose of carbs, with enough fiber to maintain blood sugar balance, and without all the added junk. And there are SO MANY options: raisins, cranberries, apricots, blueberries, mango, banana, etc. Ingredients in Sweet Potato Chips: sweet potatoes, organic coconut oil, sea salt. Ingredients in Nacho Cheese Doritos: whole corn, vegetable oil (corn, soybean, and/or sunflower oil), salt, cheddar cheese (milk, cheese cultures, salt, enzymes), maltodextrin, whey, monosodium glutamate, buttermilk solids, romano cheese (part skim cow’s milk, cheese cultures, salt, enzymes), whey protein concentrate, onion powder, partially hydrogenated soybean and cottonseed oil, corn flour, disodium phosphate, lactose, natural and artificial flavor, dextrose, tomato powder, spices, lactic acid, artificial color (including Yellow 6, Yellow 5, Red 40), citric acid, sugar, garlic powder, red and green bell pepper powder, sodium caseinate, disodium inosinate, disodium guanylate, nonfat milk solids, whey protein isolate, corn syrup solids. Start slow and do what you can. As they say, the dose makes the poison. Even making a few small changes is a good step towards fueling yourself for performance and creating a better environment at the same time. The good news? You’re FREE. Absolutely free to make your own decisions. Free to choose pesticide-laden junk or free to fuel on nature’s buffet of whole foods. You decide. What diet or supplements would you recommend to help combat tendinitis? I’ve been suffering from Achilles tendinitis for a couple of months now. I’ve been in PT for 5 weeks. It seems I may have turned the corner, but I’m wondering if you can give me some specific foods or supplements that can help me continue to heal. I have friends who swear by collagen and bone broth, but I haven’t tried these things. Anything you suggest for on the trail or at home would be great. Great question, Lemuel, as this is something a lot of hikers struggle with. As a health and nutrition coach, I don’t diagnose, prescribe, or treat, but I can share what I’ve seen work for myself and others when it comes to tendinitis. Here are some ideas for how you can support your body in recovering more quickly. For anyone unfamiliar, tendinitis (also called tendonitis) is an inflammatory condition of the tendons. The tendons connect muscles to bones. Tendinitis is often caused by repetitive movements, injuries, or built up inflammation. It can affect people of all ages, sizes, and physical ability, and it’s quite painful. Inflamed tendons are more prone to stress, strain, and tears. Traditionally, treatment involves rest, ice/heat packs, PT, and anti-inflammatory medications. Because tendinitis is an inflammatory condition, the first thing to implement, if you’re not already doing so, is an anti-inflammatory diet. Food can have a dramatic effect on inflammation levels, with some foods combating inflammation and others feeding the fire. This is something I talk about a lot with your trail diet. An anti-inflammatory diet is one that’s heavy in plants, especially cruciferous veggies (like broccoli, cabbage, cauliflower, and kale). This is because plants tend to be high in antioxidants. Antioxidants combat oxidative stress and free radical damage, which are the primary drivers of inflammation. Vitamin C is an antioxidant found in high quantities in berries, and it helps rebuild collagen, a key component in tissues. It’s also important to eat high-quality proteins sourced from grass-fed, pastured animals. This helps the body repair and rebuild damaged tissue. Aim for 4-6 ounces with each meal. Examples include cage-free eggs, grass-fed beef, and wild-caught fish. Fish are also a great choice because they contain anti-inflammatory omega-3 fatty acids. 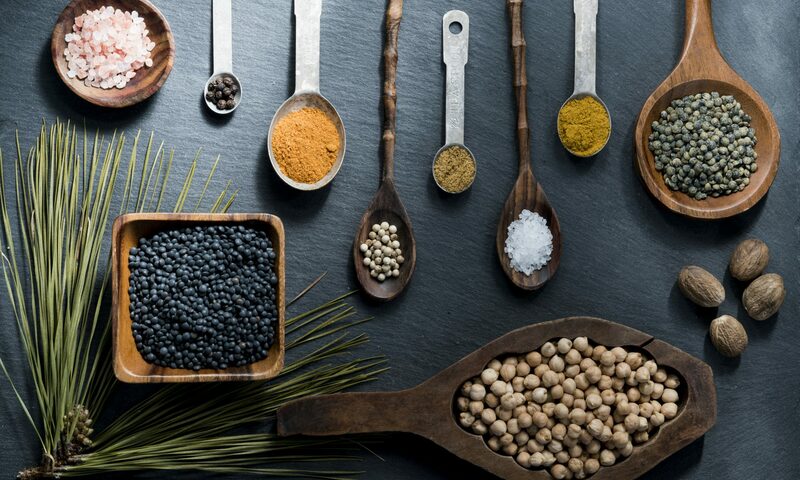 Also aim to include a wide variety of herbs and spices, which are potent sources of anti-inflammatory compounds. Ginger and turmeric are great options. On the other hand, inflammatory foods to avoid include alcohol, excess caffeine, sugar, processed foods, and hydrogenated oils. Click here to download a FREE guide with the top 5 anti-inflammatory foods to eat daily. It’s best to get your nutrients from whole foods, but if you want to supplement, consider the following. That’s my A to your Q, Lemuel. Hope you heal up quickly and get #backonthetrail. To learn more about how you can get your health completely dialed in for your upcoming adventures, click here to check out the online Adventure Ready course! If you’d like to submit your own question for a future Trail Show Salty Segment, click here. This post originally appeared on the Trek. 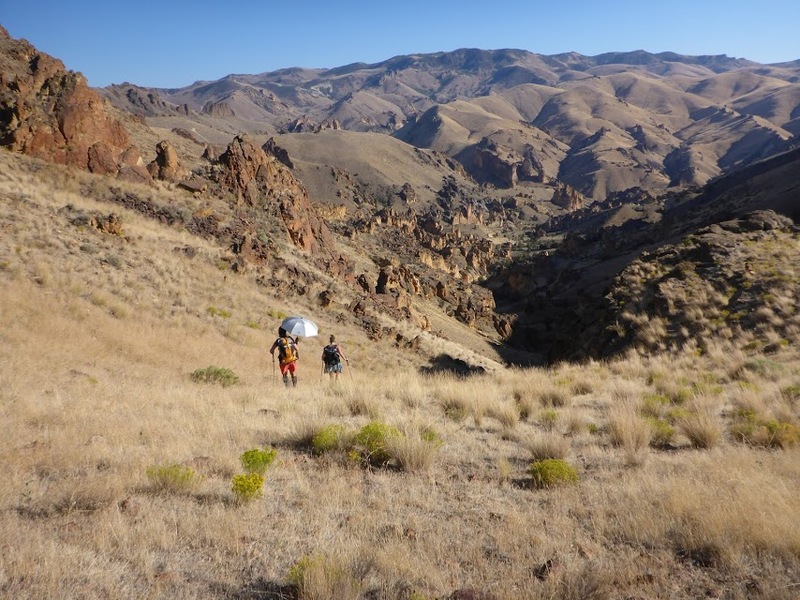 The Oregon Desert Trail (ODT) is a 750-mile route through the high desert country of Eastern Oregon. 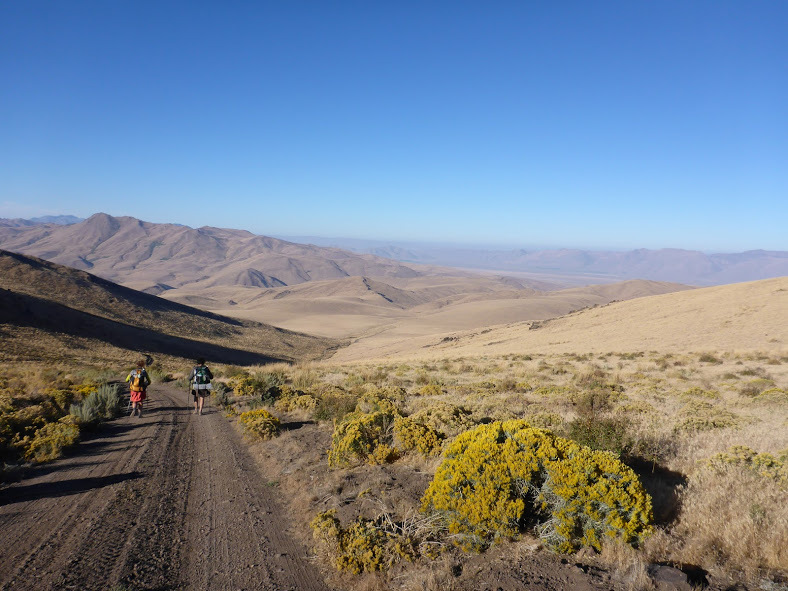 In the shape of a lopsided W, the Oregon Desert Trail made is up of a network of trails, cross-country travel, and two-track dirt roads. 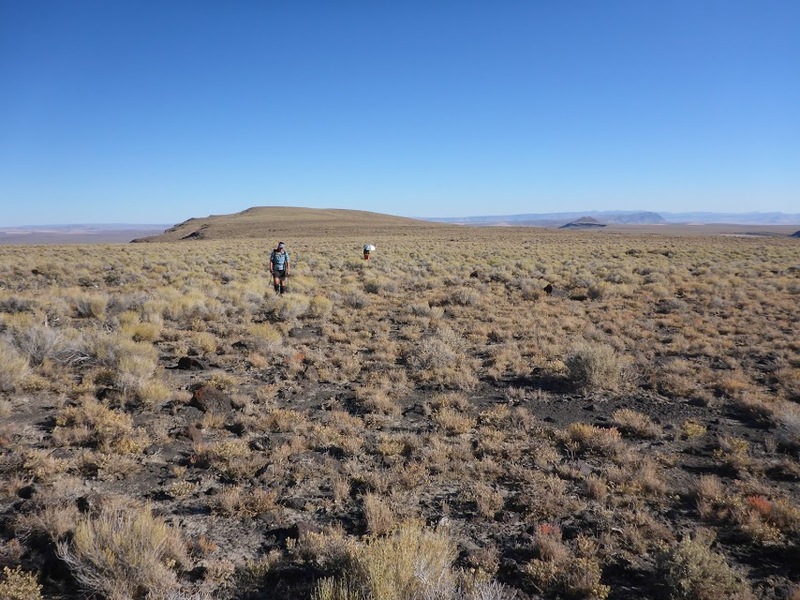 Oregon Desert “Trail” is a bit of a misnomer as the route is actually only 9% trail. The remainder of the miles are comprised of 35% cross-country travel, 51% unpaved/dirt roads, and 5% paved roads. The route was established in 2011 and has been thru-hiked by fewer than 30 hikers, who generally take four to six weeks to complete it. 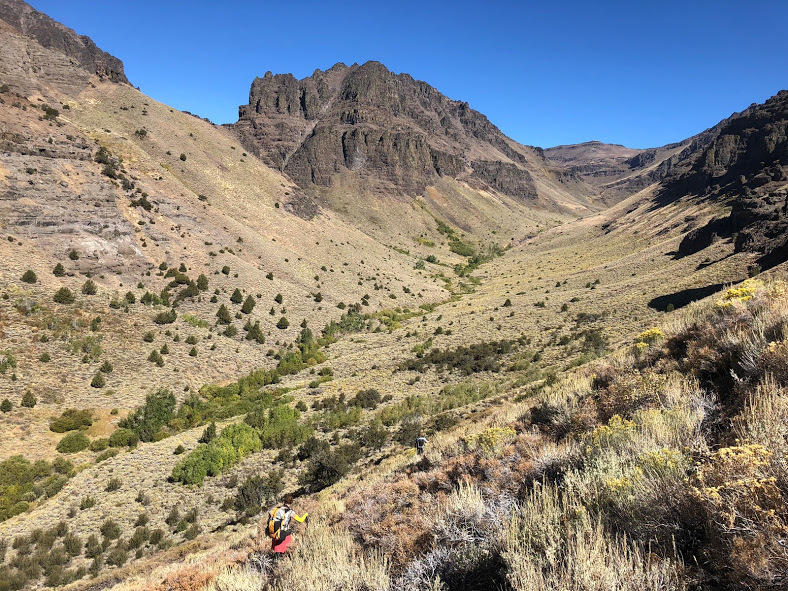 The ODT traverses some of the most spectacular natural areas of Oregon’s dry side, including Hart Mountain National Antelope Refuge, Steens Mountain, and the Owyhee Canyonlands. Distance: 753.5 miles (variable depending on the specific route you choose). Scenery: Sagebrush seas, fault-block mountains, lava beds, canyonlands, pinyon-juniper forests, deserts, and hot springs. Terrain: Moderate to difficult, with rolling hills to river crossings and steep off-trail navigation through dense vegetation. Navigation: The route is unmarked and requires map and compass skills and/or use of a GPS. 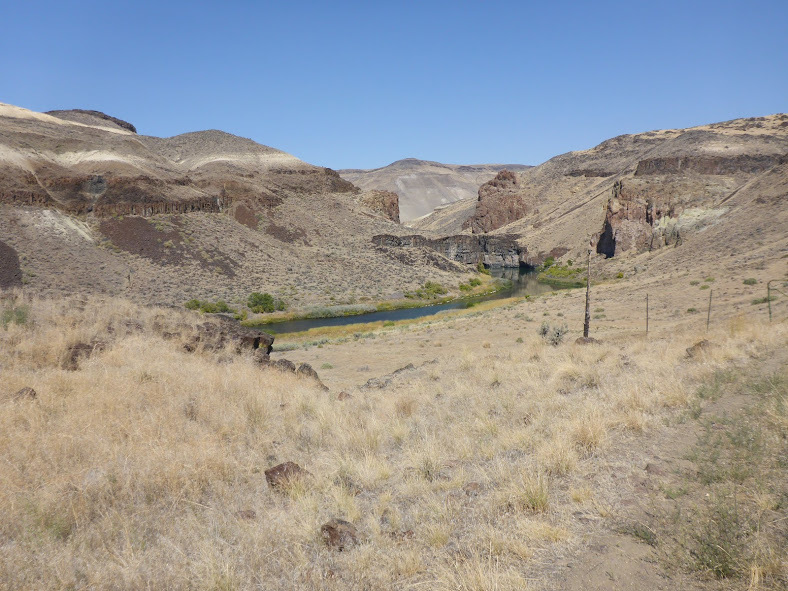 The best resource for maps and way points is the Oregon Natural Desert Association (ONDA) website. There are occasional cairns or sections where the route follows other signed trails, but this is rare. 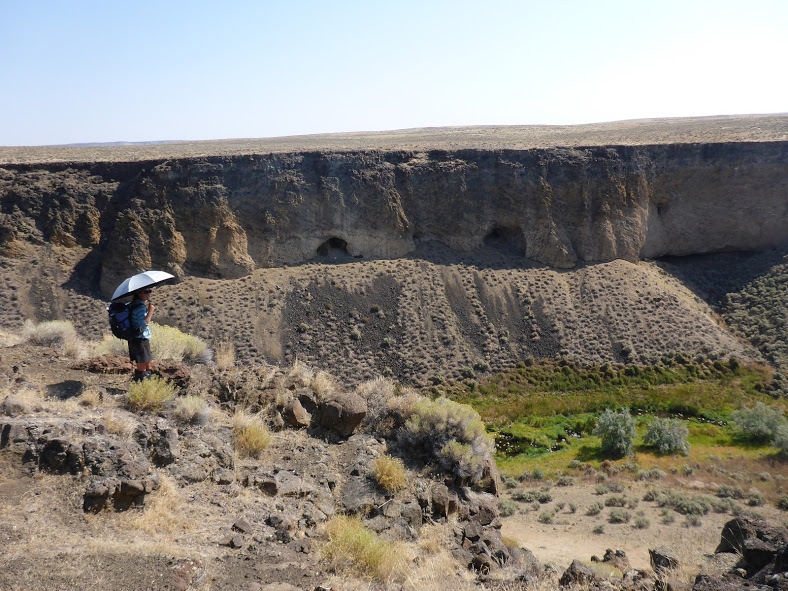 The termini are located in the Oregon Badlands Wilderness near Bend, OR, and in Lake Owyhee State Park, near the southwest border of Idaho. The trail can be hiked east to west or west to east. For most people, accessing the Western Terminus near Bend is easier. You could fly into Redmond Municipal Airport, 17 miles from downtown Bend, and taxi or Uber to the Badlands Wilderness, or to the bus station (see below) if you’re starting at the Eastern Terminus. The Eastern Terminus at Lake Owyhee State Park is more remote. If you can find someone to drop you off, that’s definitely the easiest option. If that’s not possible, take the POINT bus Eastern route from Hawthorne station in Bend to Vale/Ontario and taxi from there. 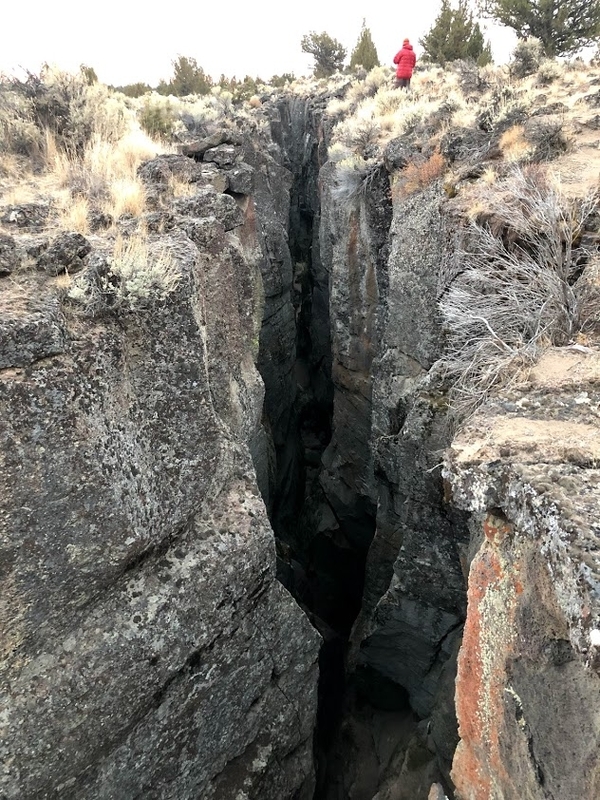 A possible option detailed on the ONDA website is trail advocates in the Lake Owyhee area who may be willing to help out hikers with transportation. Be a good trail steward and treat these people with generosity and kindness. Which Direction Should You Hike? This trail can be hiked in either direction. Most ODT thru-hikers have gone eastbound, but in the last few years, at least five of us have gone westbound. The pros of traveling westbound include finishing in Bend, with its many tasty restaurants and 22 microbreweries (the highest per capita in the US). Getting home from Bend is also likely to be easier. On the downside, westbound travel means more challenging terrain at the start of your hike. 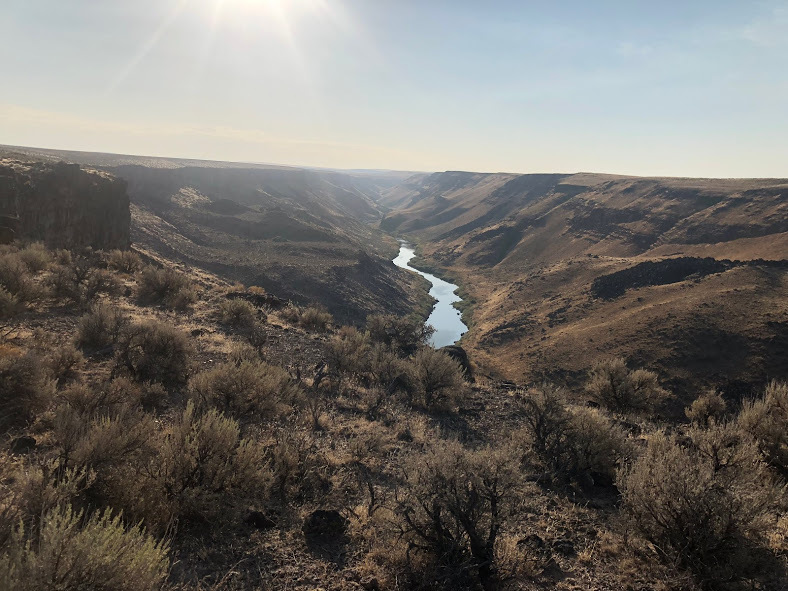 Traveling eastbound, on the other hand, may mean more logistics getting home from the Eastern Terminus, but more gentle terrain to start and a much more scenic finish at the spectacular Owyhee Lake terminus. The ODT is unlike any other trail you’ve hiked, and that alone is a good reason to hike it. 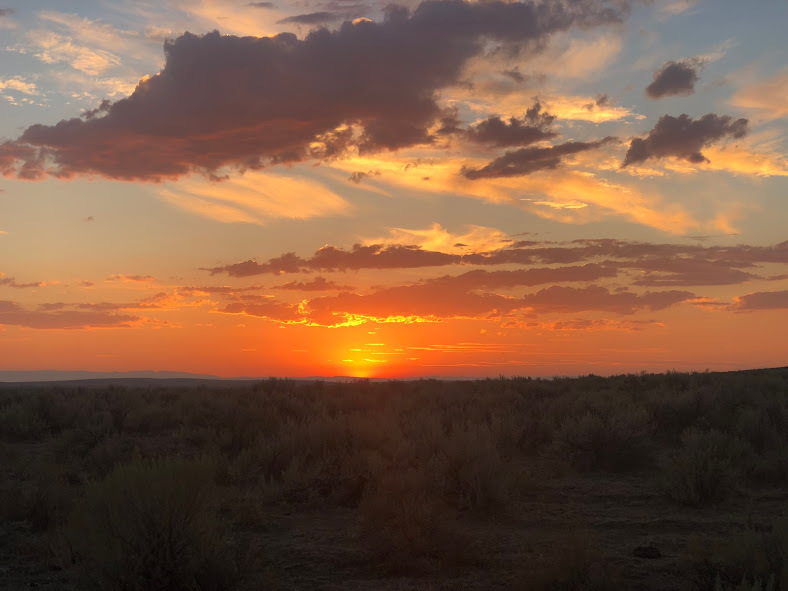 Southeast Oregon is one of the least densely populated regions of the country and many of the towns you travel through are one stoplight with one combined gas station/convenience store/bar/post office. I found that being on a trail without so much trail culture around it made for more genuine interactions with the locals. Another reason to hike this trail is the lack of crowds. 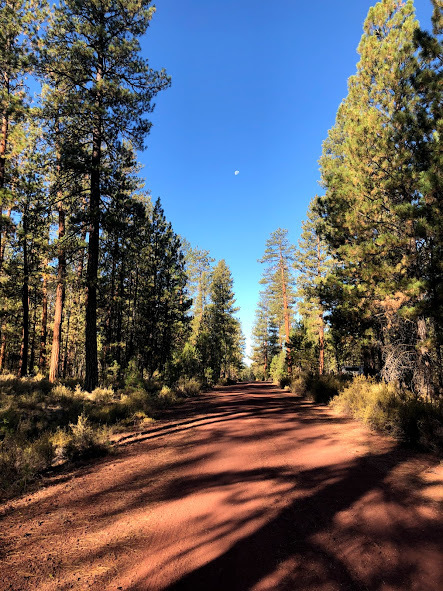 The total number of permits issued for the PCT in 2018 was 7,313. That’s in stark contrast to the number of other hikers I saw aside from my hiking partners, which was zero in 30 days. This provides a wonderful opportunity to unplug and truly clear your mind. Another benefit of the remoteness of the ODT is the lack of light pollution, which allows for some of the most incredible night skies I’ve ever experienced. 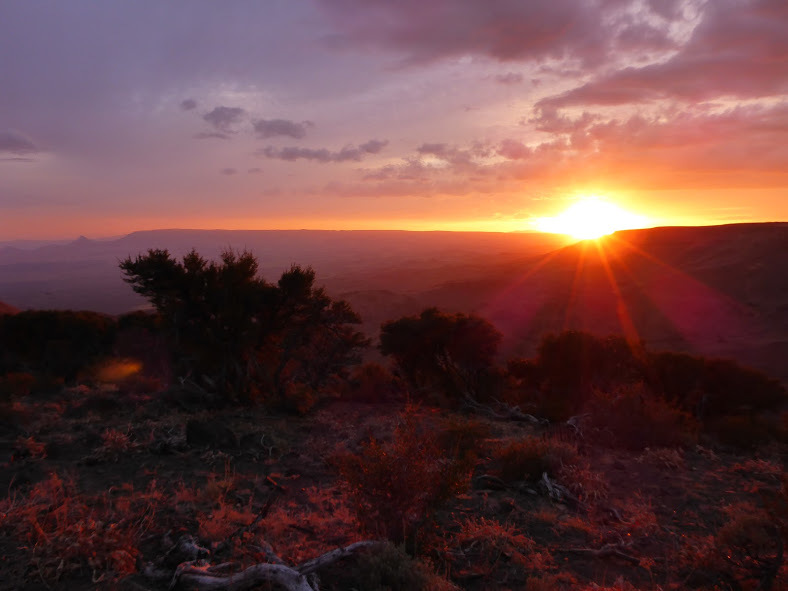 The wide-open expansive horizons also showcased vibrant sunrises and sunsets almost daily. I found that being on a trail without so much trail culture around it made for more genuine interactions with the locals. 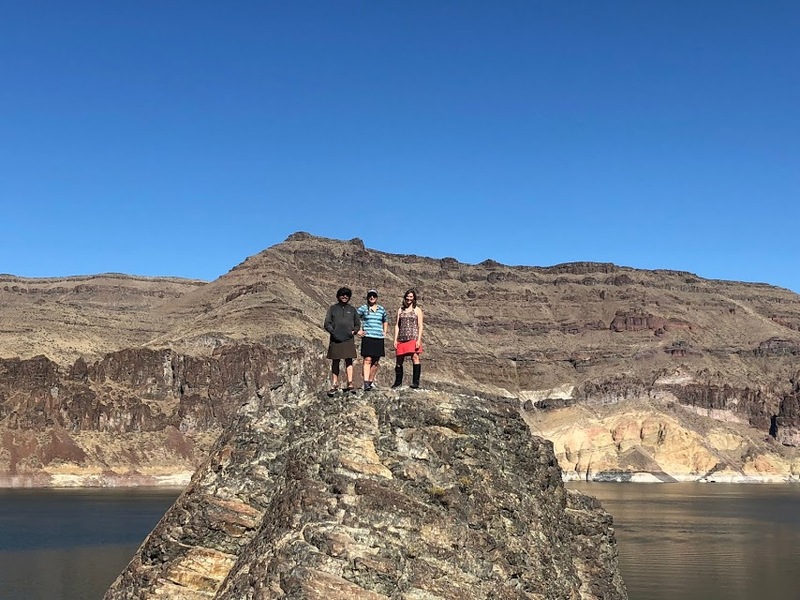 This trail also passes several hot springs, including Summer Lake Hot Springs and Hunter’s Hot Springs, as well as Hart Mountain Hot Springs, Alvord Hot Springs, and several soaking pools in the Owyhee Canyonlands. This is thanks to the region’s rich volcanic history, which adds to the interesting geologic features of the region. Aside from all this, the greatest reason to hike this trail is for the freedom and challenge it provides. From heat to navigation to water challenges, the ODT will test your limits every day. Furthermore, the freedom to hike as you wish, without anyone telling you you’re “doing it wrong” is also extremely refreshing. This region gets HOT in the summer, making the ideal seasons for hiking here in the spring or fall. Each option has its own unique challenges and considerations. For example, water is more likely to be available in the spring than in the fall. However, if you start late enough, the fall is likely to be cooler. I also just find autumn to be a very pleasant time to be in the desert. We completed our ODT thru-hike from Sept. 1-30. The first week, daytime temperatures were in the high 80s and low 90s, but cooled to high 50s and mid 60s later in the hike. Our nighttime temps ranged from low 20s to mid 40s. The only rain we experienced was a brief shower our last morning on trail. 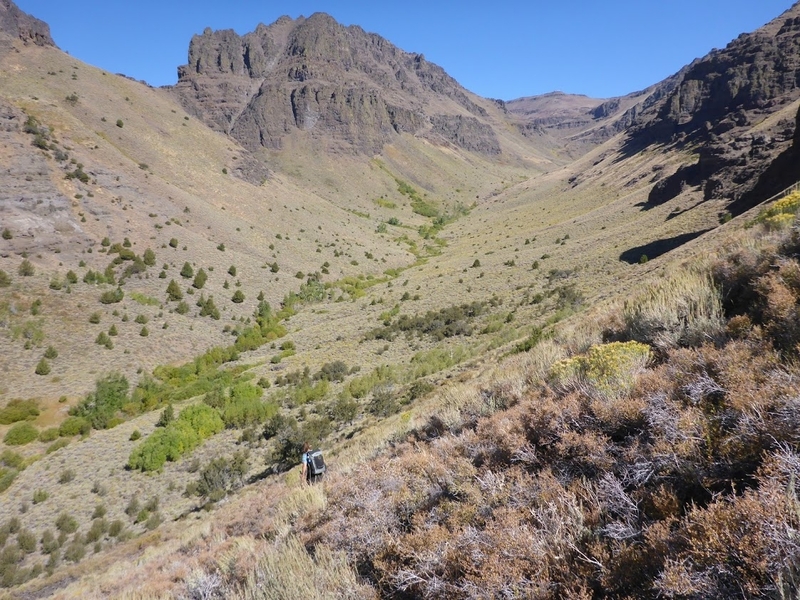 Like most desert ecosystems, the ODT is harsh. 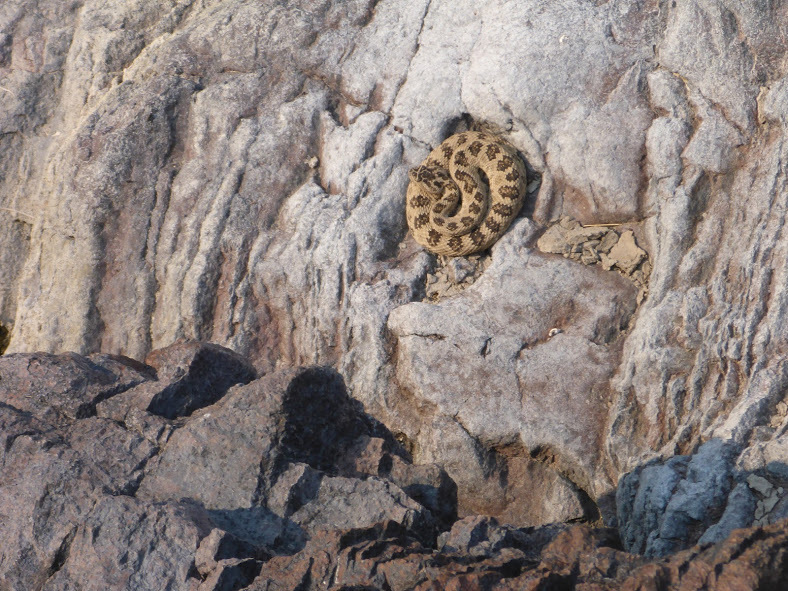 There are many pokey things, as well as venomous fauna like scorpions and rattlesnakes (we saw 13). The biggest challeng,e however is water. Water sources may include streams or springs, but more often include cow tanks. 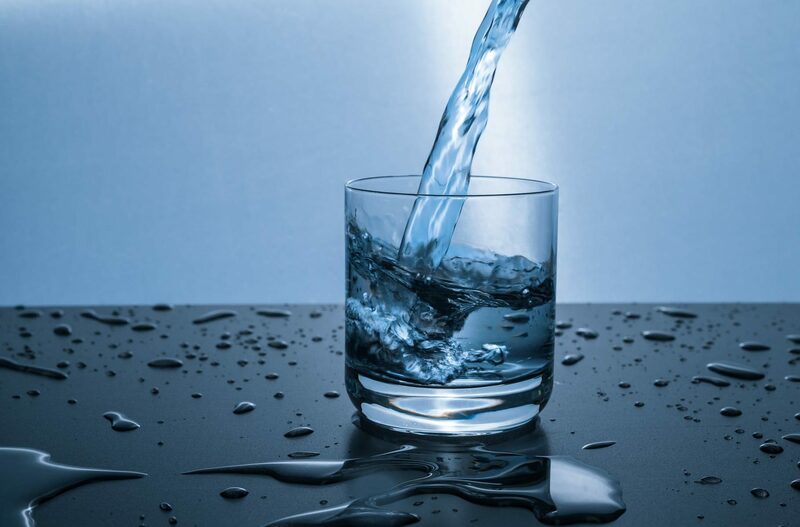 Having reliable water treatment as well as a backup method is a good idea. For example, carrying a filter plus Aquatabs, in case your filter breaks (as mine did) or freezes. 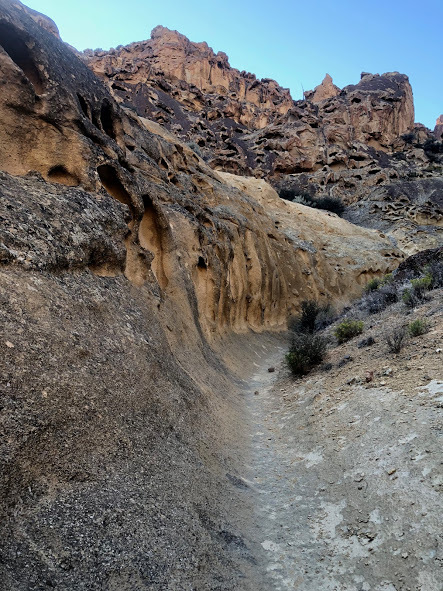 This is not the trail to test your luck with not treating water. Because sources can be as far as 40 miles apart, I’d recommend a ten- to 12-liter carrying capacity. Keep in mind that these can be challenging cross-country miles with very little shade. On that note, a sun umbrella can also be incredibly helpful for creating your own personal shade. Finally, while you certainly could hike this trail with only map and compass, I found having a GPS in addition to my paper maps made for more accurate and efficient navigation. As long as you’re not on private land, which is something to stay aware of on the ODT, you can essentially camp wherever you’d like. As expected, there are no shelters, and the route does not travel through any fee areas. The ODT was much more diverse than I expected. 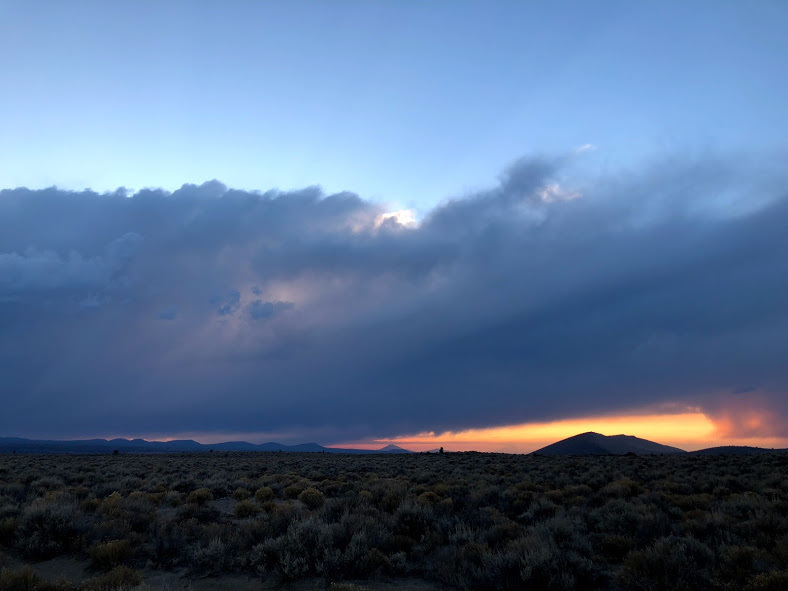 In addition to the hot springs mentioned earlier, some standout sections include Steens Mountain, the Alvord Desert, and Hart Mountain Antelope Refuge. 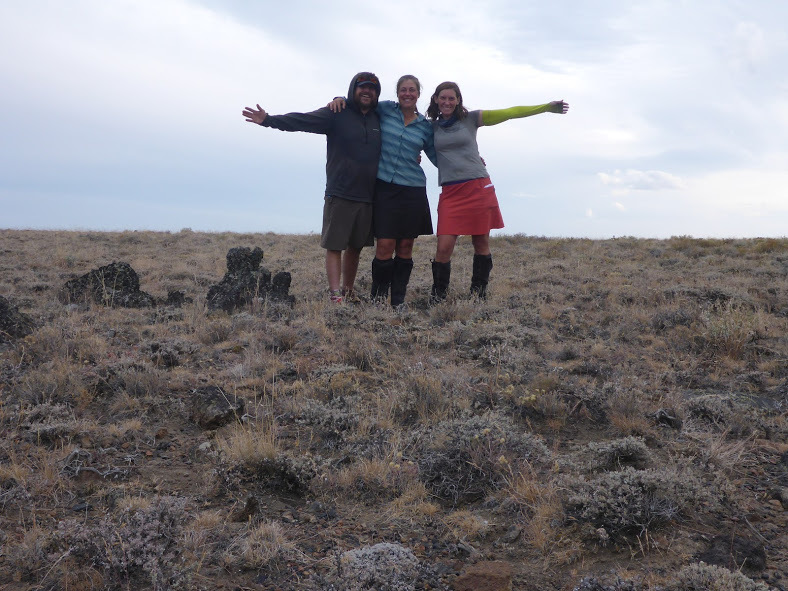 The trail also passes by petroglyphs as well as several fascinating volcanic features, like Crack-in-the-Ground. Water is the crux of the route. 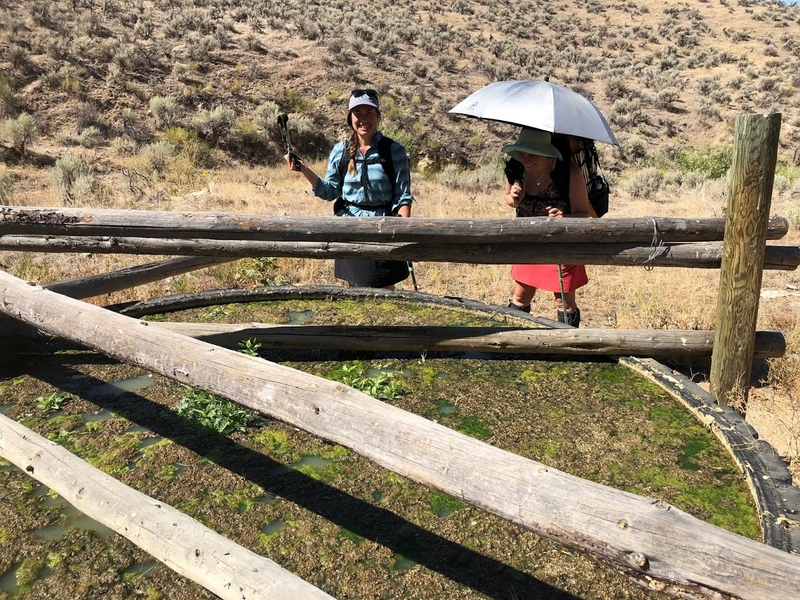 When I hiked in 2018, the region experienced one of the hottest and driest summers on record, making water during our fall hike a challenge. At one point, we each carried three gallons (that’s 24 pounds!). Sources range from streams to lakes to springs to cow tanks. Some are clear, many are murky. The most valuable resource for water on the ODT is the water report hosted on ONDA’s website. It’s a Google spreadsheet, so hikers are able to make notes in the field and it syncs once you’re back on Wi-Fi. Sources are ranked as unreliable, questionable, and reliable, and the report contains notes from the current year as well as past years. This was incredibly helpful as we found 2018 more closely matched with 2015 in terms of which sources we could expect to be reliable. We never counted on a source that wasn’t labeled reliable. 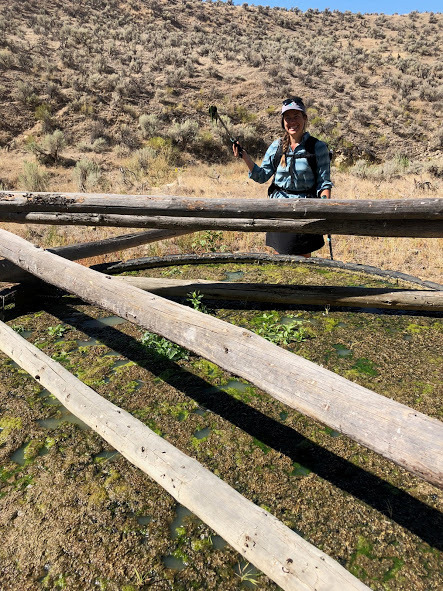 Most hikers will also want to cache water in the western 160 miles of trail. ONDA may be able to assist with this for a $10 donation. More details are found on the ‘Water’ tab of the Trail Resources page. 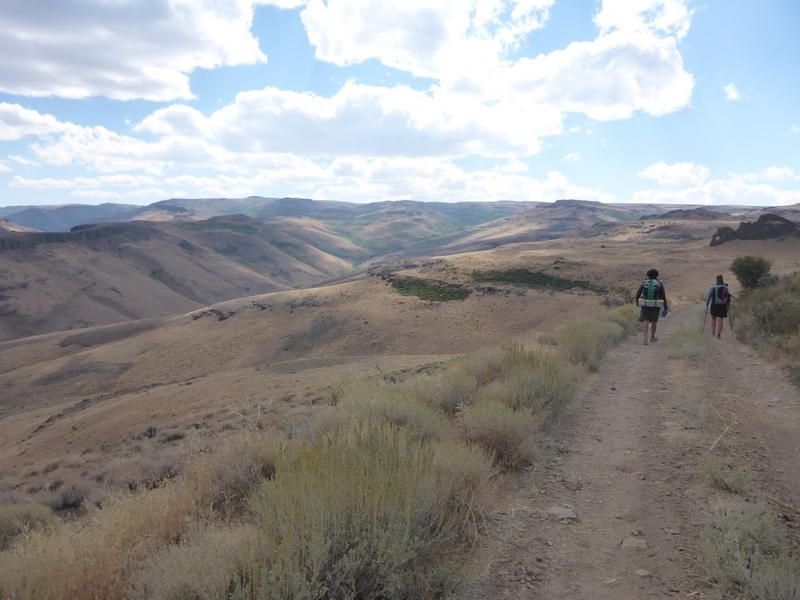 The trail travels through or near 16 communities, allowing hikers to resupply often. Many of the towns are on trail or only require a short (<10 mile) hitch. ONDA offers an extensive town guide to help with resupply planning. Several of the towns are quite small, with limited or expensive options, so it’s helpful to send boxes. In terms of food, you can see where and how I resupplied here, which includes where, what, and how much food I sent. I mostly mailed myself boxes and regretted the stops where I didn’t. Here’s how I approached creating a healthy resupply in a remote town with limited options. Small, remote towns also mean you need to be more self-sufficient in your packing than you would on more well-populated routes. Be prepared for something to go wrong. For example, when my phone died on day three, there was no Apple store anywhere within hundreds of miles, let alone in the next resupply town. Without GPS, having paper maps and compass was essential. Also, do not expect many gear stores, so carry what you need or send it to yourself in advance. The upside of all this is that the ODT was for sure, mile for mile, the cheapest trail I’ve ever hiked. With only two hotel stays, a few restaurant meals, and no reason to linger in towns, it’s hard to blow a bunch of money even if you’re trying. 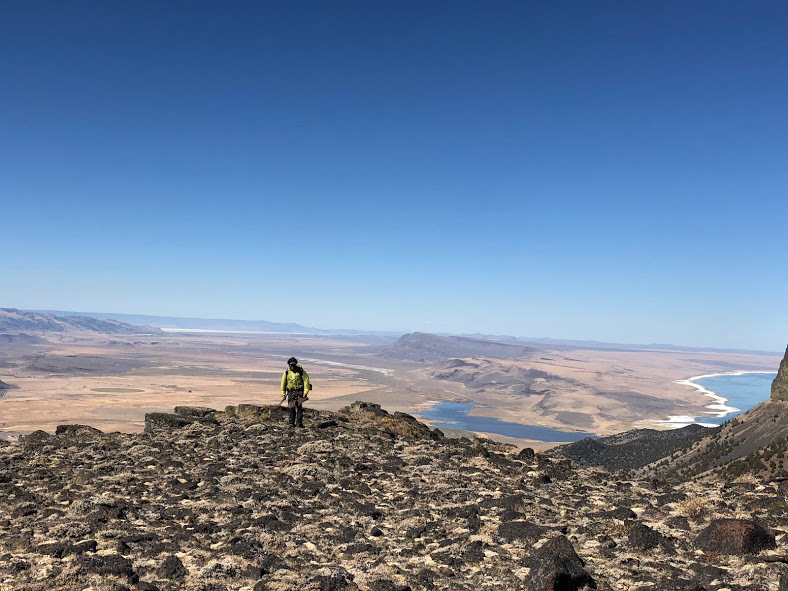 The ODT is a remote and challenging route for experienced hikers (after all, you have to sign a waiver to access planning materials on ONDA’s site). The landscape is diverse and rewarding, and those night skies and hot springs can’t be beat. The ODT is also unique because of ONDA’s focus on conservation through responsible use. Furthermore, trail coordinator Renee “She-ra” Patrick is a thru-hiker, and she’s done an impressive job creating a wealth of resources for anyone planning an ODT hike. 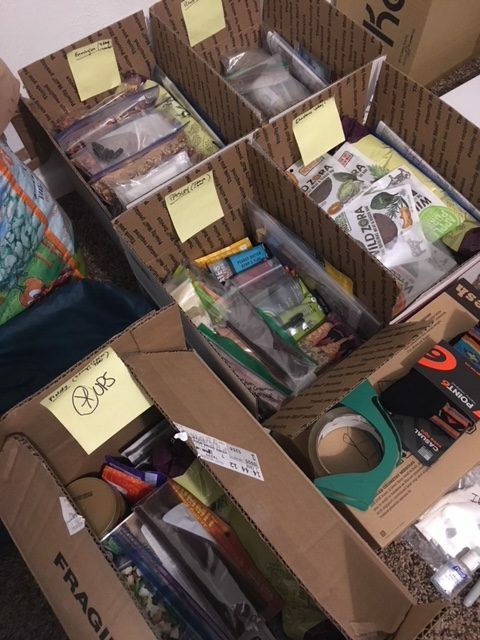 For a trip report and more planning resources, including a free resupply planning template, find more at my website and on my hiking partner’s website. Oh, and expect to see a lot of cows. Fasting On Trail: Good Idea or Not? I noticed in one of your Instagram posts you talked about fasting and I did an “american amount” of research. Looks interesting and healthy and I always thought fasting meant just not eating for days and days, I didn’t realize there were different kinds. Anyway, it seems like it is really good for your cells and I wondered if fasting is a good thing to do on trail, and if so, how in the hell could you do it? The thing I look forward to most is my bedtime snack of cashews and coconut flakes, and then I usually eat as I’m walking out of camp, which means I have about 8 hours of not eating. I can’t imagine going longer than that on trail!!! Disclaimer: I’m not a doctor. If you follow any medical advice given on the trail show and it turns out poorly, please send any complaints to trailshowlegal@thetrailshow.com. Now, on to the question. Is fasting a good thing on trail? Eh, it could be. But it could also be risky considering how much other stress you’re putting your body under. Here’s what I mean. There are lots of types of fasts, like the extended multi-day fasts you refer to, alternate day fasts, liquid fasts, and more. What the listener is referring to is intermittent fasting. Intermittent fasting usually refers to compressing your feeding window to 12 hours or less in a 24 hour cycle. For example, 14 hours of fasting followed by a 10 hour feeding window. The point is not to reduce overall calories but to compress the feeding window to give the digestive system and metabolic processes a break. What would be the potential benefits? There’s a lot of research happening around fasting right now. It’s been shown to increase autophagy & clear out damaged cells, improve immunity, improve mental clarity and concentration, support fat loss, lower blood insulin levels, and increase energy, among other things. And what are the risks? It’s important to remember that fasting is a stressor and your body is already under a lot of stress on a long hike. Exercise is a stressor. Eating crappy food is a stressor. The body responds well to small amounts of stress, but too much stress on the body leads to chronic inflammation, which is counteractive to what you’re trying to accomplish with a fast. You can also throw your adrenals and hormones out of whack, both of which happened to me in the past. Not from thru-hiking specifically, but from thru-hiking plus having a lot of other stress in my life. Which leads to another important point: women should be especially careful with fasting, on trail or off, because our hormones are really sensitive to disruptions. If your adrenals are already stressed or if you’re underweight, fasting would not be a good idea. So, while fasting is a really helpful health tool, I’d say for most people, it’s probably smarter to leave the fasting for when you’re at home or when you’re in town for a few days. But…if you do try it, here’s how I’d go about it. In terms of timing, fasting overnight is easiest because you’re sleeping most of that time. I wouldn’t go much beyond a 12-14 hour fast, which would mean a 10-12 hour feeding window. It’s already difficult enough to get in the calories you need on trail. Of course as hikers we’re known for shoveling it in, but the shorter your feeding window, the more you risk not eating enough in that window. Chronically under-eating makes it hard to properly refuel your glycogen and rebuild muscle. When that happens, your body breaks down and your endurance suffers. If you know it’s something you want to try, I’d highly recommend experimenting with it at home first. Train your body to rely more on fat stores for fuel than incoming glucose, which will make fasted hiking less…uncomfortable. This could be achieved by gradually lengthening your current fasting window. Eat dinner earlier, avoid evening snacks, and push breakfast later. Doing fasted morning workouts would also be beneficial. So, that’s my A to your Q, Wolfmoon. Hope it helps provide some clarity! 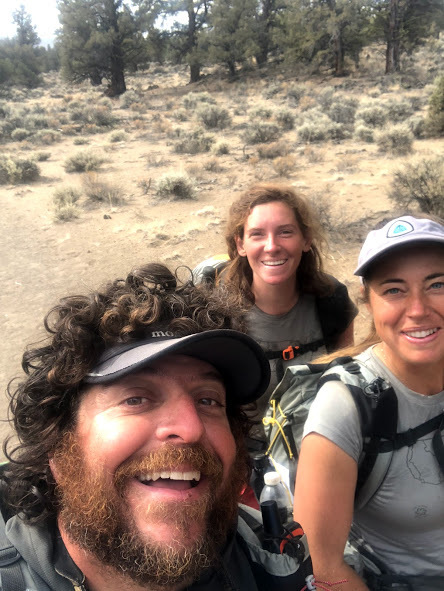 To learn more about how you can get your health completely dialed in for your upcoming adventures this year, click here to learn more about my course Adventure Ready! What I wish I would’ve done for my health before my first long hike. 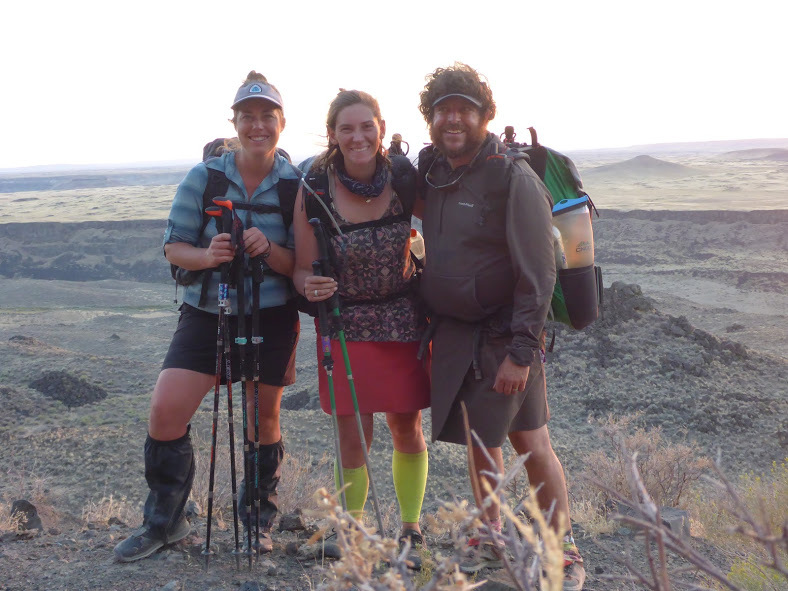 Imagine you’ve just hiked 2660 miles and you’re in the best shape of your life. You luck out and are chosen in the lottery for a well known local race you’ve been eyeing for years. It starts in a month. You’ve given yourself a week to recover and you set out on your first ‘training run’. But something is off. You can’t run more than a couple of miles without extreme deep muscle fatigue. You’ve been exhausted for days and sleep isn’t helping. You’re cold all the time, your hair is falling out, and you’re unmotivated. You have no choice but to pull out of the race. This was essentially my experience after hiking the PCT. 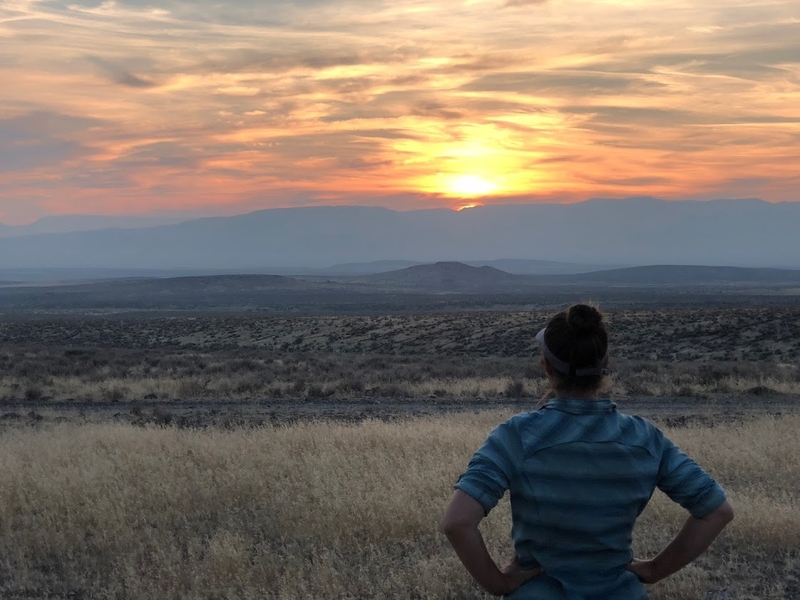 This is somewhat of a cautionary tale, but what I’d really like to share with you is not just how I recovered, but more importantly for anyone considering their own endurance endeavor, how I prepared for my next long distance hike so that I had incredible energy, endurance, and resiliency. I’ve been a lifelong endurance athlete, competing in swimming and cross country when I was younger, and ultra running in more recent years. I was your typical overly ambitious Type A go-getter, and I still am to some extent, but with more wisdom, earned through my own dark night of the soul. 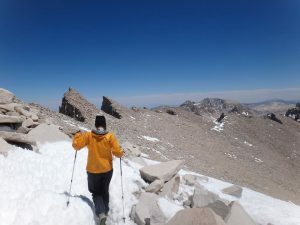 It wasn’t hiking the PCT per say, that triggered my health issues. Though months of physical stress is a lot for the body and many hikers do end up extremely depleted, gaunt, and with disrupted hormones. I actually felt great on my hike, which I attribute to eating real food. My health crash upon returning home was the culmination of several factors. This is known as allostatic load, the process of accumulated stress on the body, which often leads to a ‘tipping point’ where the body can no longer cope. Yes, there was the physical stress of hiking for 4 months, but I also had a lot of emotional stress and likely some degree of intestinal permeability. This is a fairly common condition where tight junctions in the gut lining don’t work properly, allowing toxins, bacteria, and food particles into the bloodstream (where they don’t belong). It’s often caused by chronic stress, poor diet, toxin overload, and bacterial imbalance. It’s been linked to a host of conditions, including inflammation disorders, immune issues, food allergies, and chronic fatigue. I had no clue this was happening because I wasn’t experiencing any digestive issues. The point is not that long distance hiking is going to cause you to develop adrenal issues, thyroid disease, or any other condition. It’s that despite living an extremely healthy lifestyle, I was not as bullet-proof as I thought. And though reclaiming my health has been quite a journey, I’m grateful for the experience because I can now share information on how to optimize your health BEFORE your hike, so you can thrive, and have a fulfilling, successful journey. Here are the top 3 practices I did both to recover my health and to prepare for my next long hike. These allowed me to have incredible energy and endurance, day in and day out, and to remain truly healthy, season after season. I assumed that because I was vegetarian and I ate healthy, including lots of plants, and because I didn’t have any overt digestive symptoms, that I was healthy. Turns out that’s not always the case, and it’s not until you remove a potentially triggering food, allow the body to reset, and then reintroduce it, that you may find it’s not working for you. I worked as a baker at the time and even though the bread I was eating daily was made from organic, locally-milled wheat, and baked in a wood-fired oven, and even though I was certain I didn’t have issues with gluten, it turns out it was still doing me harm. I didn’t realize this until I did an elimination challenge and learned which foods I was not tolerating well. Once I removed those from my diet for a while, things turned around quickly. My inflammation went down, my energy soared, my digestion improved, and my muscles stopped aching. This is just ONE piece of the puzzle, but it’s a powerful piece. Plus, it’s free. I created a 12-page guide on how to complete this step. You can download it here. For free. No more guessing in the dark about which foods are ‘good’ or ‘bad’. Find out exactly what works for you and what doesn’t. Again, I assumed my gut was in good order because I lived a pretty healthy lifestyle and I wasn’t experiencing any noticeable digestive symptoms. I ate probiotics a few times a week, and plenty of fiber. However, it turns out that 15 years of relying on grains, legumes, wheat, dairy, and other fairly inflammatory foods as a vegetarian had led to a bit of gut dysbiosis. This is where you have inadequate amounts or diversity of the ‘good’ gut bacteria and overgrowth of more pathogenic strains. Gut health impacts your immune system, nutrient absorption, energy levels, hormone production, weight, and much more. There’s a lot that goes into this one, but when I thought about all my daily actions, I could boil it down to ‘Will this lead to more or less inflammation in my body?’. Knowing that inflammation is at the root of most chronic conditions, and living in a world where we’re bombarded by stressors from every direction, it makes sense to instill habits that reduce the burden. This includes making adequate sleep non-negotiable. It also means making sure I actively manage stress levels, whether I feel stressed or not. This means daily mindfulness, like meditation or keeping a gratitude journal. One of the most important practices I do now is listen to my body. I used to train hard every day, no matter how I felt. I now take time for rest. I slow down. I train in seasons. Knowing how to eat and train is important, but I’ve also learned how to trust the ebb and flow cycles of the seasons and my body. I tend to go hard in the summer. And to do that for the long haul, I need a period of repair and rebuilding. With dark days and cold temperatures, winter lends itself well to a season of nourishing the body. I’ve learned to hear my body before I’ve pushed too far. We dive deeper into all these topics in my course Adventure Ready. It launches spring of 2019, just in time for you to optimize your health, so you can be standing on that summit or at that terminus monument later this year. To stay in the loop on details, enter your details here. The ideal scenario is to get all the nutrients you need from whole foods, but there are many circumstances when supplementation can benefit nearly everyone. Supplements can be a controversial topic. On one extreme, there are health advocates claiming you need a supplement for every ache and pain. On the other extreme, you have skeptics claiming that supplements are unnecessary, a waste of money, and even dangerous. As with many divisive topics, the truth is somewhere in between. Nutritionally speaking, we know that the body requires certain levels of nutrients to function optimally. We also know that due to the abundance of nutritionally poor foods available today, many of us do not get the daily requirements of several key nutrients. Furthermore, chronic illness, gut dysbiosis, exposure to toxins, stress, and heavy physical demands on the body all deplete nutrient stores more quickly. For that reason, supplements can be a good form of nutritional insurance. 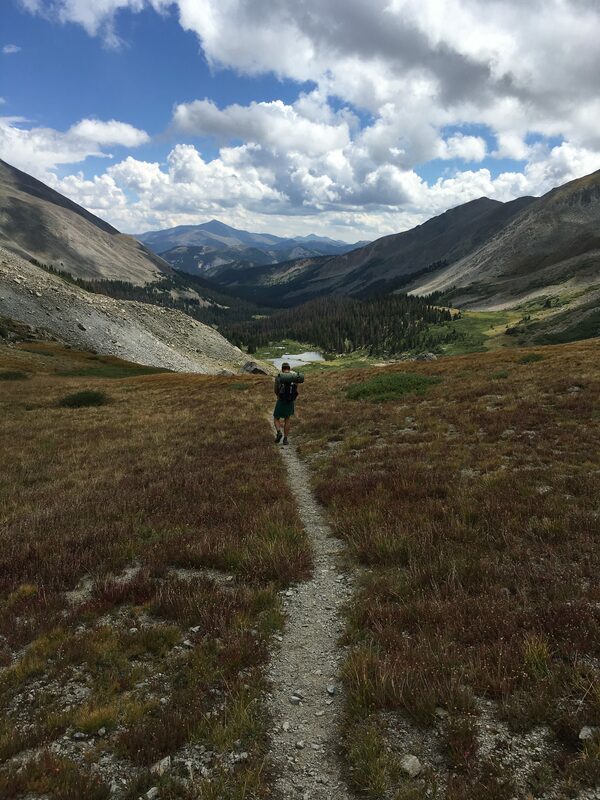 During the extreme physical demands placed on the body during a long distance hike, supplementation is helpful for optimal energy and endurance, enhanced immune function, faster recovery, and reduced illness and fatigue. If you’re curious how certain deficiencies manifest in the body, here is an excellent article on that by Dr. Aviva Romm. 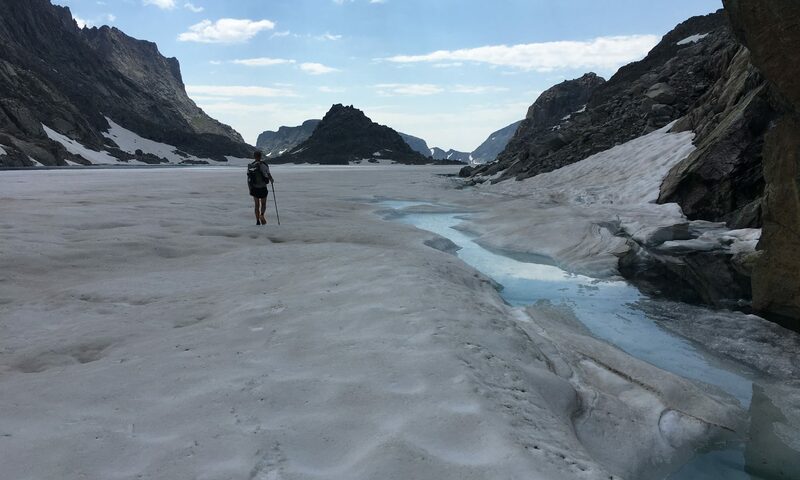 A long distance hike is unique in that it’s a feat of extreme endurance. In most sports, you exert the body, and then you have recovery time to restore depleted nutrients. It’s not unusual during a long distance hike to walk a marathon a day, with a pack on, day after day for 5 months. Couple that with the lack of fresh foods and the notoriously ultra-processed diet of the thru-hiker. It’s no wonder that many hikers end up emaciated, sick, injured, and ending their hike early. Supplements are not a substitute for a good diet. A high quality, anti-inflammatory diet is always the place to start when you want to feel and perform your best. Nutrients in their whole food form are absorbed into the body better than in supplement form, and there’s often more control over sourcing and quality with food. 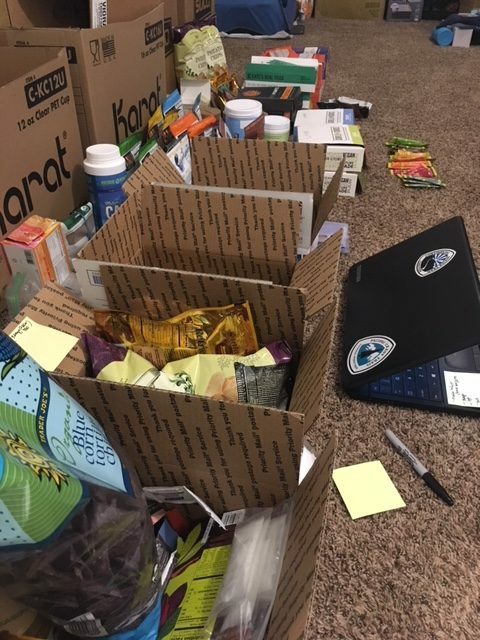 As detailed in this post about my Oregon Desert Trail resupply, in addition to packing nutrient dense food in every box, I almost always include the following supplements. For high quality supplements, I prefer to shop exclusively through specific trusted companies. Shopping from random sources can be hit or miss in terms of buying products that are real, safe, and effective. To ensure you’re buying safe products, you can access my online dispensary of professional-grade supplements by clicking here. There are hundreds of brands and you can save 10-20% with this link. There are no gimmicks. It’s simply a resource I want to provide to readers. If you insist on shopping Amazon, you can find links to a few of my favorites by clicking on the supplement name below. One last note before we dive in: I am not a doctor and, as such, I don’t diagnose, prescribe, treat, or cure. The following ideas are simply what I’ve seen work for myself and for others. For personalized health advice, see a qualified practitioner. If you’re on prescription medications, don’t start supplements without the guidance of your doctor. To cover your basic nutritional bases, a high quality multi-vitamin is helpful. This is especially important as we live in a time when our food sources are compromised, we don’t always take time for proper meals, and we experience more stress than ever. This certainly applies on a long distance hike when you’re consuming fewer fresh fruits and veggies, which are likely a major source of your nutrients in off-trail life. You’ve probably heard me say it before, and you’ll likely hear it again, which is that gut health is one of the most important foundational pieces to optimal health. Over 80% of disease can be linked to lifestyle choices, and our gut is ground zero for our immune health, brain health, and production of important hormones. It’s also where digestion, absorption, and assimilation occurs. To be sure you’re getting the most out of the foods and supplements you’re ingesting, it’s important to pay attention to your gut health. This includes eating fiber-filled prebiotic foods, as well as eating probiotic foods. Because it’s difficult to get probiotic foods on trail, consider a supplement with a diversity of strains, and rotate brands regularly. Also note that these microorganisms are sensitive to heat and light, so store capsules in a dark container deep in your pack. Krill Oil is fantastic for brain and heart health and for keeping overall inflammation low. Most modern diets are high in inflammatory Omega 6 fats and low in anti-inflammatory Omega 3 fats. By increasing Omega 3 fats in the diet, we get closer to the ideal 4:1 (omega 6:omega 3) ratio. By comparison, most modern diets are closer to 20:1. As explained on the Bulletproof website, “Krill oil is a superior source of EPA and DHA because the polyunsaturated fats are packaged as phospholipids, which can be used immediately by your body. The EPA and DHA in fish oil, on the other hand, are typically packaged as triglycerides and have to undergo additional processing in order to make them bioavailable. Krill oil is also more stable because it includes astaxanthin, a powerful antioxidant, that protects the fragile fats from oxidizing. Storage of your krill oil is important because fats are prone to oxidation. This not only makes them ineffective, but makes them damaging to the body. Heat, air, and light degrade oils. Use capsules rather than liquid, and store in an airtight amber or cobalt bottle. Place them in the middle of your pack, where temps are more stable (ideally below 100*F). It’s important to choose a high quality source that contains piperine (the active component of black pepper), which increases the bioavailability of the curcumin by 2000%. Magnesium is involved in over 300 biochemical reaction in the body. It’s important for several functions including muscle and heart function, immunity, nerve cell function, energy production, and strong bones. Nearly half of all Americans are deficient in Magnesium. There are many forms of magnesium to choose from. For sound sleep and a healthy morning BM, magnesium citrate is a great choice. For general magnesium deficiency and a highly bioavailable form, magnesium glycinate is helpful. Do your research and choose what’s best for you. If you’re curious about the strategies I use and the types of food I pack for optimal energy and overall health on a long hike, download my free Eat for Endurance eBook here. It includes a sample menu and principles I use to stay illness and injury free. Beyond supporting performance goals on trail, supplements can be a key additional to optimal health at home as well. In addition to the above supplements, which I also take at home, I often cycle through others. My choices depend on what aspect of my health I’m focused on improving, such as adrenal or hormone health. This may include vitamin D3, B vitamins, antioxidants (like glutathione and Vitamin C), and adaptogenic herbs and mushrooms (like Reishi, Ashwagandha, and Cordyceps). Not all supplements are created equal and it’s important to choose high quality supplements and buy from trusted sources. 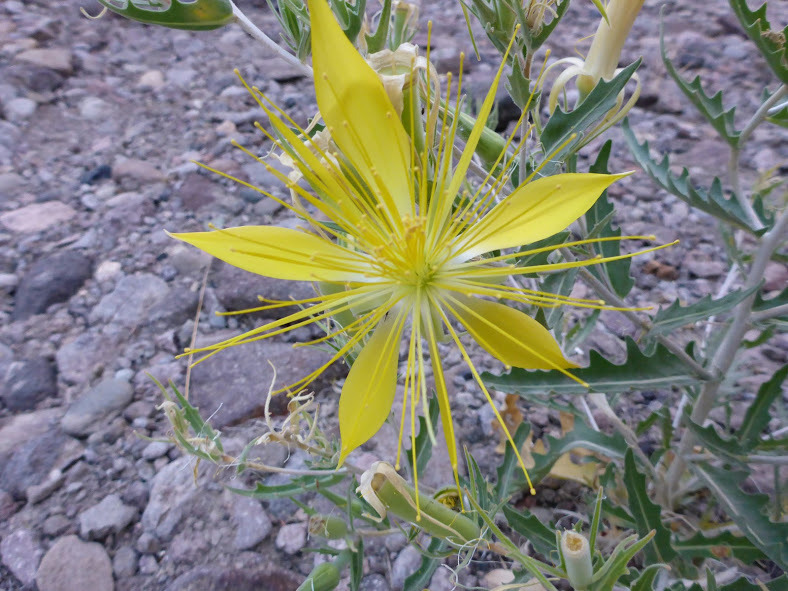 The bottom of this post by Dr. Aviva Romm has good recommendations for choosing supplements. Every body is different. 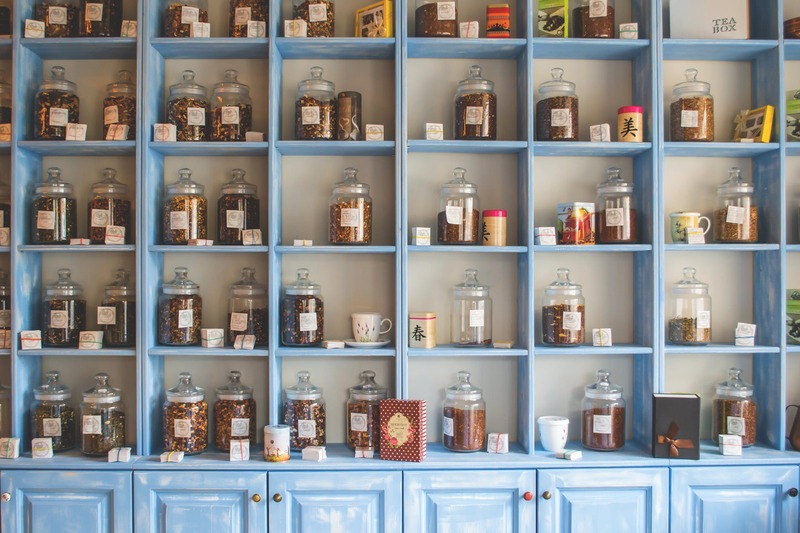 For an individualized approach and deeper guidance, working with a health practitioner is helpful to determine what supplements may be helpful specifically for you. Again, if you’d like access to my online dispensary where you can save 10-20% off top brands, click here. With a bit of planning and preparation, you can vastly enhance the experience of your hike with targeted support and supplementation. In addition to whole nutrient-dense foods, consider taking some (or all) of these along on your next big adventure. Like what you’re reading? Sign up for our newsletter here to be the first to know when new posts are published! 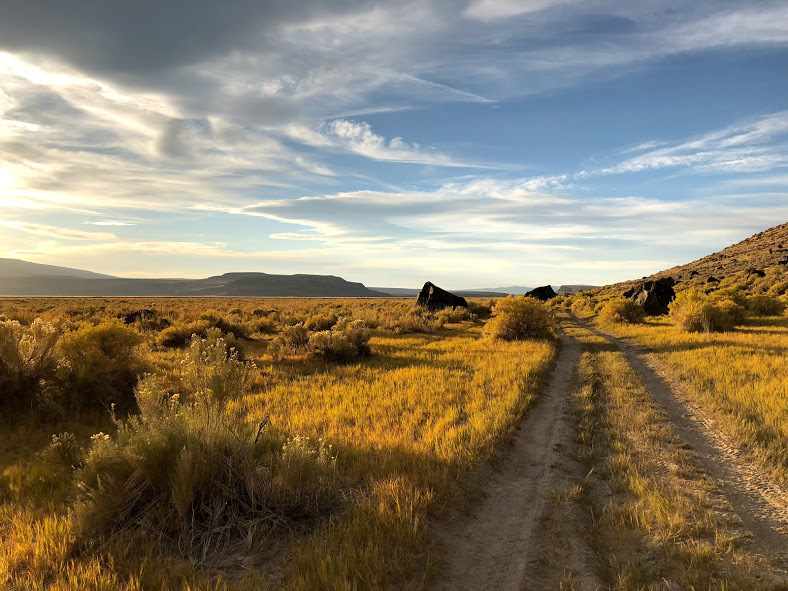 In the fall of 2018, I hiked the Oregon Desert Trail west-bound. I deeply enjoyed the vast open expanses and the lonesome nature of this route. 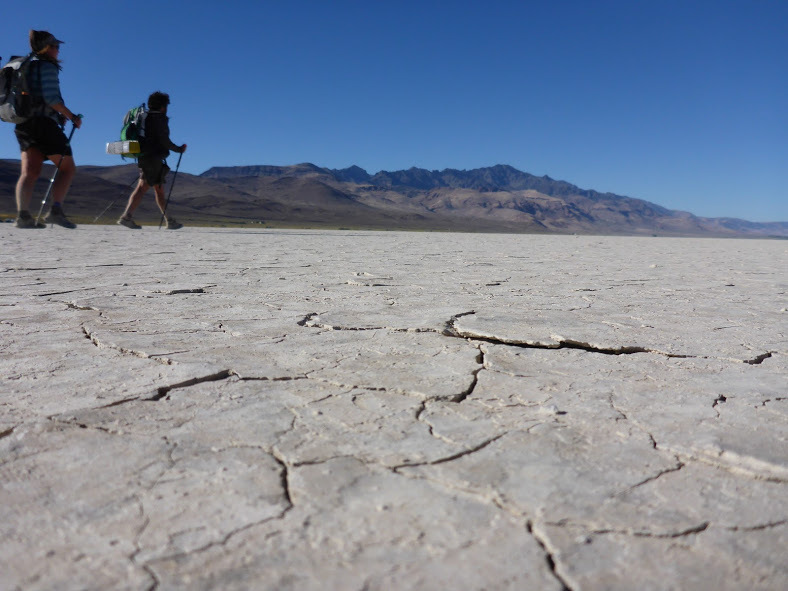 I highly recommend it to other hikers, with advanced skill sets, who enjoy remote desert hiking. The present post is more of an overview of the trail, while this other post contains more photos and a few notes from my trail journal. 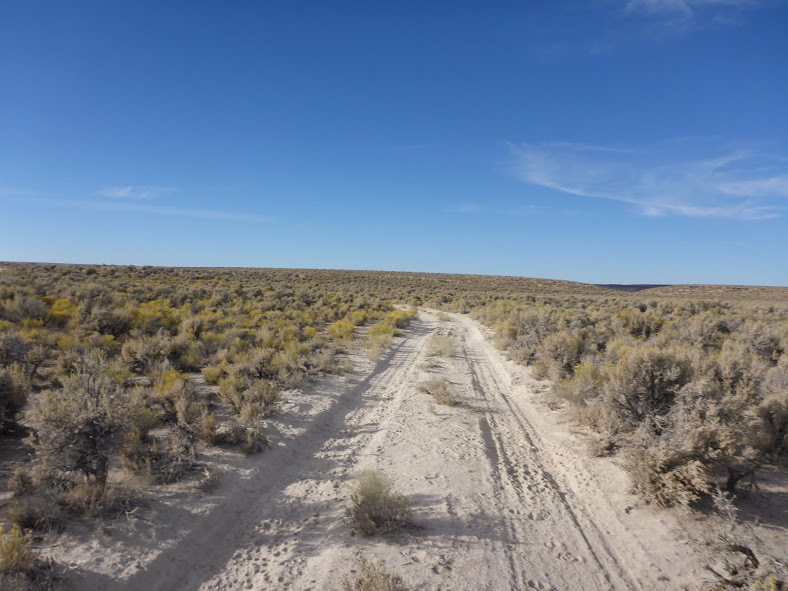 The Oregon Desert Trail (ODT) is a 750-mile route through the high desert country of eastern Oregon. In the shape of a weird “W”, it’s made up of a network of trails, cross country travel, and two-track dirt roads. 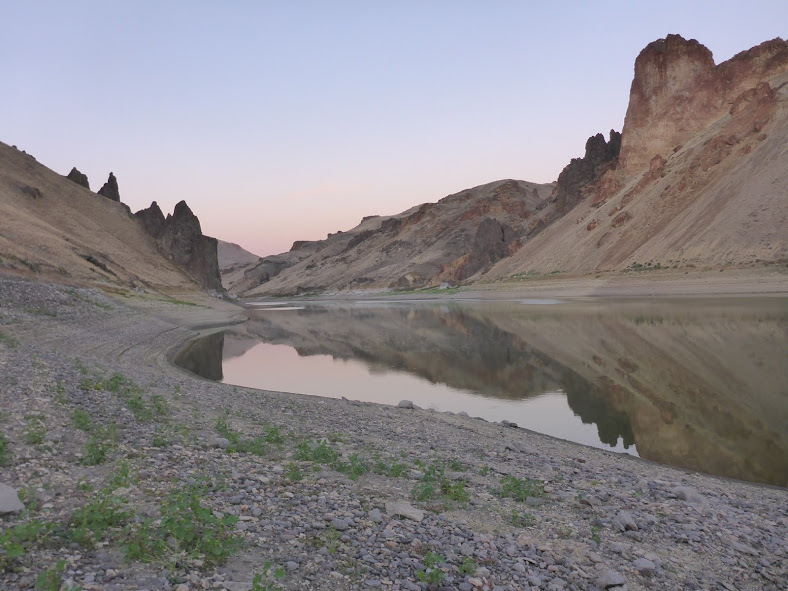 The termini are located in the Oregon Badlands Wilderness near Bend, Oregon, and in Lake Owyhee State Park, near the Idaho border. 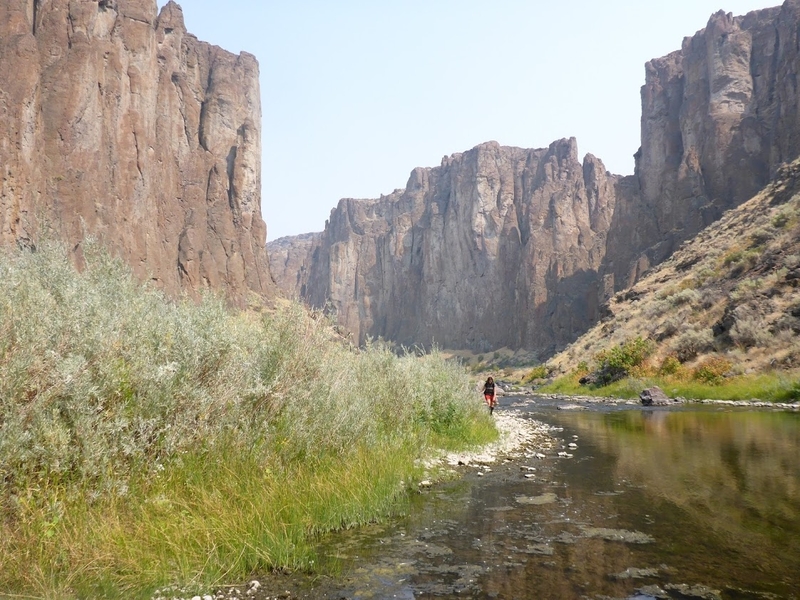 The ODT was developed by the Oregon Natural Desert Association as a means to promote conservation of Oregon’s spectacular high desert through low impact recreation. 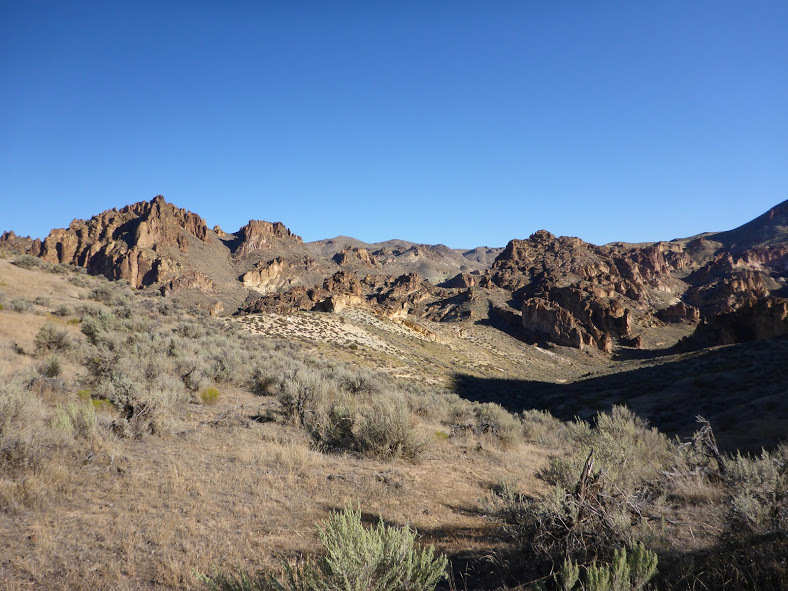 The trail traverses key natural areas including Hart Mountain National Antelope Refuge, Steens Mountain, Abert and Diablo Rims, and the Owyhee Canyonlands. 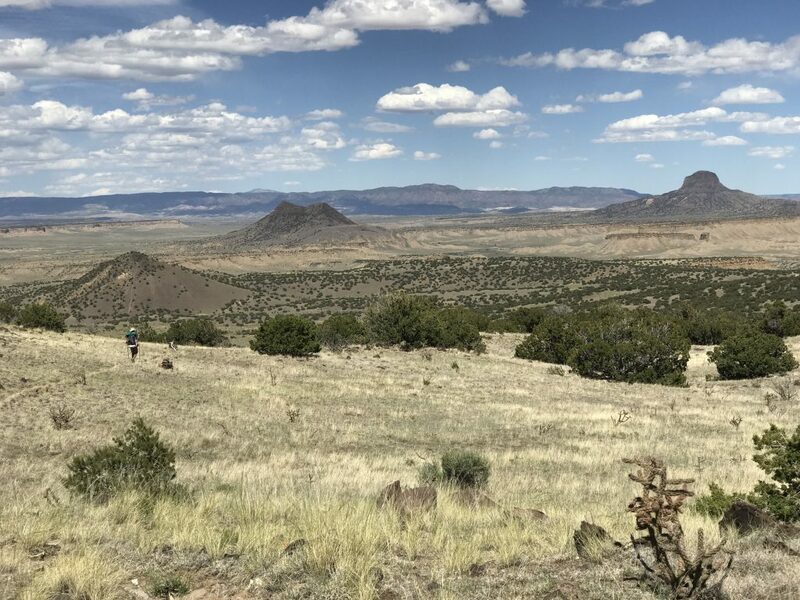 “To craft this 750-mile route located on public land and public rights-of-way, ONDA stitched existing trails, old Jeep tracks, and historical wagon roads together with stretches of cross-country travel. Our aims are to improve access to the wonders of the desert and to let explorers take a choose-your-own-adventure approach to getting to know this region. I believe that interacting with a landscape is the best way to form a relationship with that land and to care about protecting it. Most of us no longer spend our entire lives on one piece of land, or even in one geographical region. We therefore lack the strong connection to a place that comes from depending on a land for your food and water, building materials, etc. Recreating in a place for an extended time period is one of the closest proxies we have to that relationship in modern times. Rather than closing off a wild space, allowing people only to be spectators, such as in a museum, we can create corridors of travel where people can connect with a landscape by being immersed in it for days, weeks, or months. 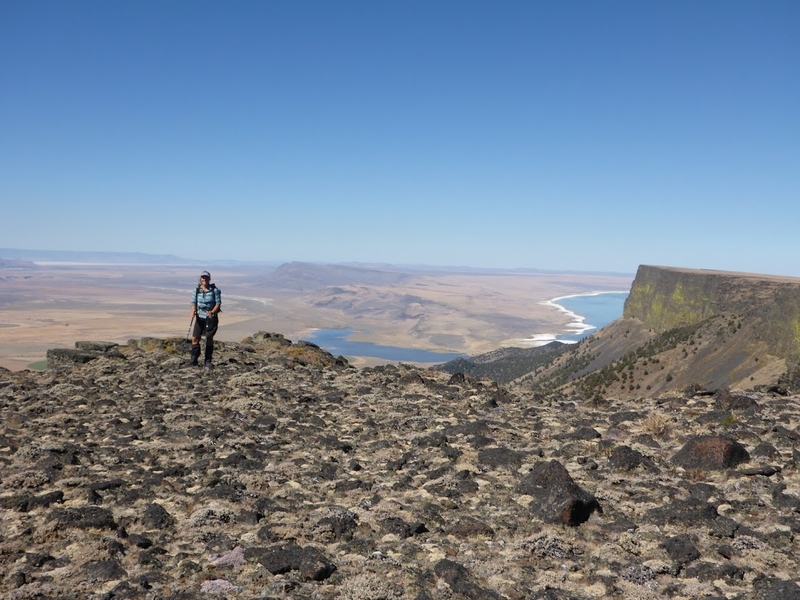 The best resource for hikers wishing to complete the ODT is ONDA’s website. 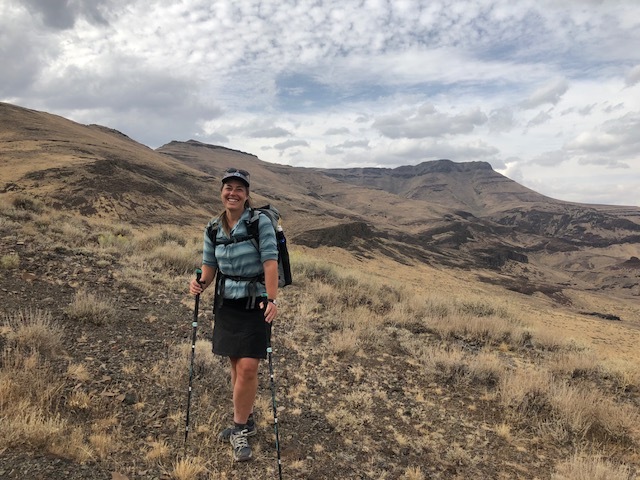 The trail coordinator for the ODT, Renee Patrick, is an experienced thru-hiker, and the resources she’s created and compiled for the trail in just a few years is incredible. You’ll find GPS data, town guides, a water report, trail conditions, and much more. Most ODT hikes are completed in the spring or fall. Each option has its own unique challenges and considerations. For example, water is more likely to be available in the spring than in the fall. However, if you start late enough, the fall is likely to be cooler. I also just find autumn to be a very pleasant time to be in the desert. Water was one of our biggest challenges. 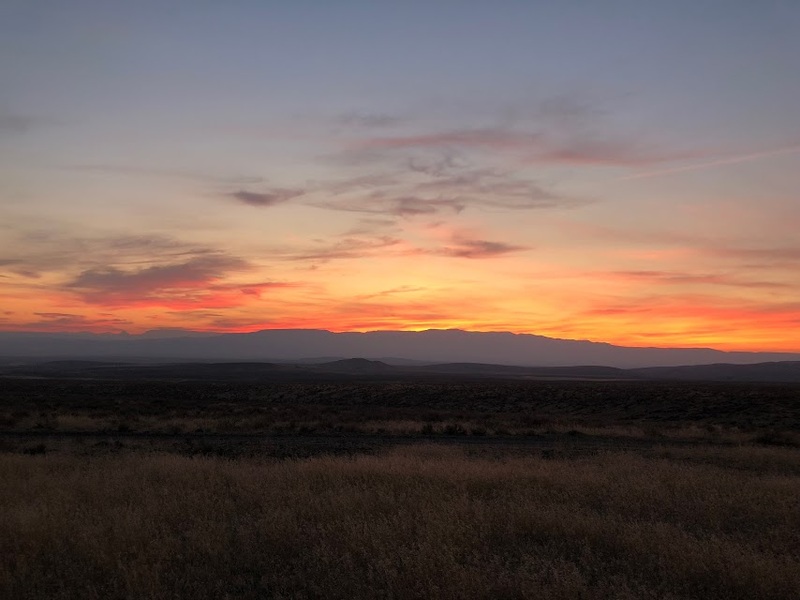 2018 was one of the hottest and driest years on record in Oregon. The water report, a Google spreadsheet, is found on ONDA’s website and is updated by hikers. You can make notes directly on the spreadsheet in the field and it will automatically update the master spreadsheet when you get to WiFi. Notes from previous years are in the document and we found the data from 2015, another dry year, most closely reflected what we could expect in terms of reliability for water sources. We never counted on a source unless it was labeled ‘Reliable’, and more than once we found ourselves carrying up to 3 gallons. If we came upon water before we expected, it was a bonus. Sources include creeks, rivers, springs, reservoirs, and most often, cow tanks. Some were clear and delicious. Others were murky, covered in algae, and tasted very cow-y despite being filtered and chemically treated. Any water is good water in the desert. The towns and communities along the ODT corridor are all pretty small. They have limited amenities. Partially due to lack of services, and partially due to arriving and departing at odd hours of the day, we were only able to shower twice and do laundry once the entire time. 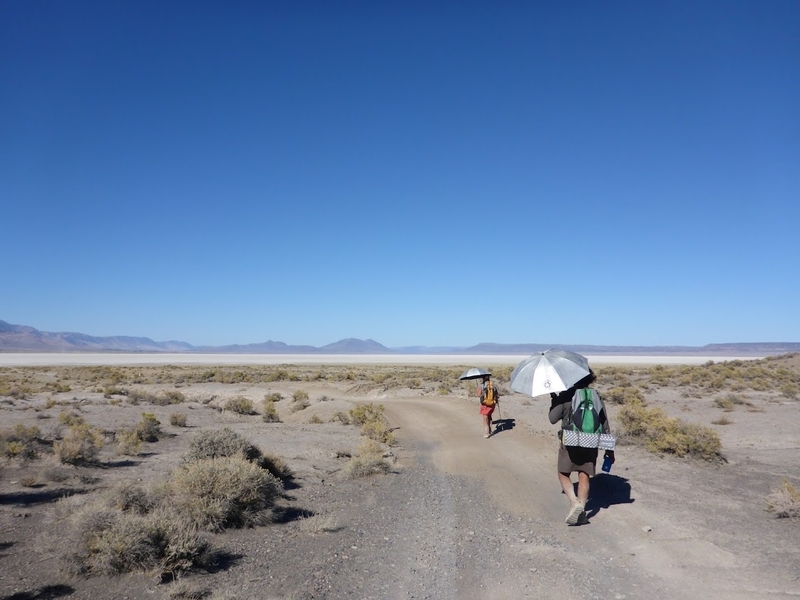 We washed our bodies and clothes on trail, where possible, but it was a very dusty, smelly, and salty 30 days overall. 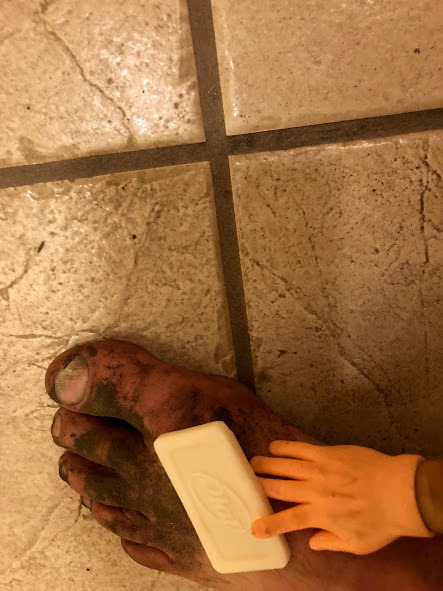 We used blue sponges and a small amount of water in a gallon ziploc bag each night to get the bulk of the grime off our legs before bed. This massively improved comfort, reduced foot issues, and kept sleeping bags at least moderately clean. Small towns also require you to be more self-sufficient in your packing than you would on more well-populated routes. This means carrying a few more supplies and being prepared for something to go wrong. For example, when my phone died on day 3, there was no Apple store anywhere within hundreds of miles, let alone in the next resupply town. Without GPS, having paper maps and compass was essential. Further, you couldn’t expect gear, such as new shoes or a tent, to be available in towns. You need to send it to yourself. It’s not a big deal-you just need to think ahead, be creative with problem solving, and be flexible. Also due to the remoteness of the route, and the small town sizes, food and resupply options are limited and often pricey. You can see more about where and how I resupplied here. I mostly mailed myself boxes and regretted the stops where I didn’t. Here’s how I approached creating a healthy-ish resupply in a remote town with limited options. The upside of all this is that the ODT was for sure, mile for mile, the cheapest trail I’ve ever hiked. With only 2 hotel stays, a few restaurant meals, and no reason to linger in towns, it’s hard to blow a bunch of money even if you’re trying. Another upside of the ODT is that the route either goes directly through towns or very close, so there is very little hitching necessary. I have an (almost) daily practice of journaling, whether on trail or off. See a few ODT journal excerpts here as well as many more photos. Want to stay in the loop? To be the first to know when new posts are published, subscribe to our newsletter here. I have an (almost) daily habit of journaling, whether on trail or off. 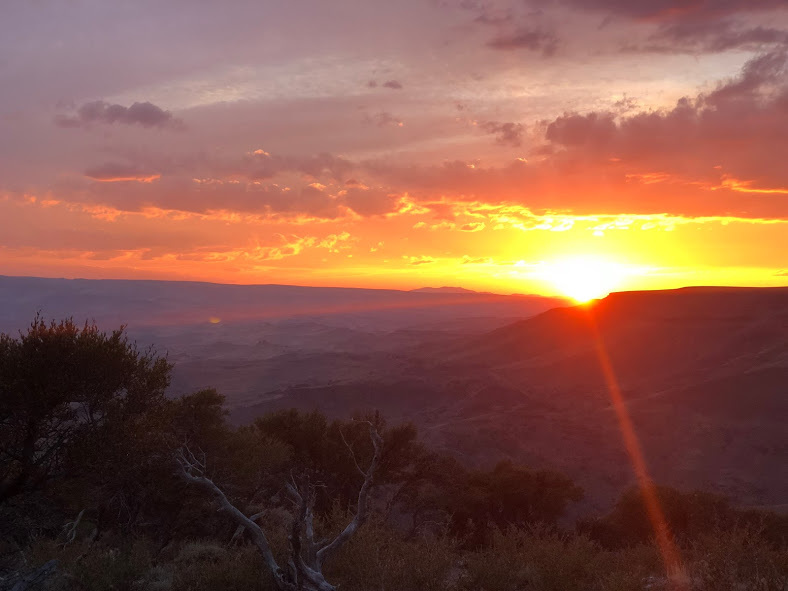 My journals are less of a play by play trip guide (“we hiked X miles to Y canyon, which is part of Z wilderness…”), and more of a free-flowing reflection on my inner experience. It’s a way for me to process the moments, the days, the feelings that make up this bizarre experience called life. 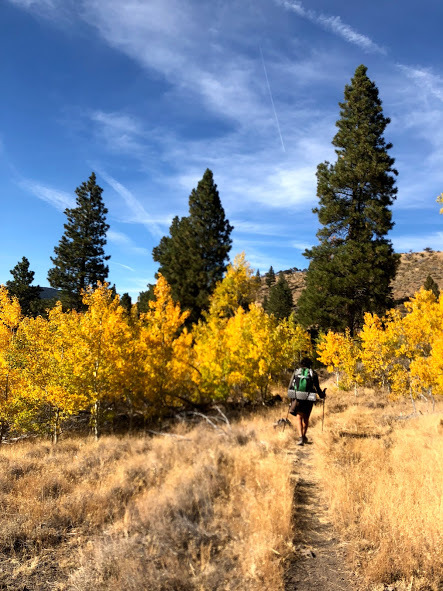 In the fall of 2018, I hiked the Oregon Desert Trail westbound, with 2 hiking partners. See this post for an overview of the trip. 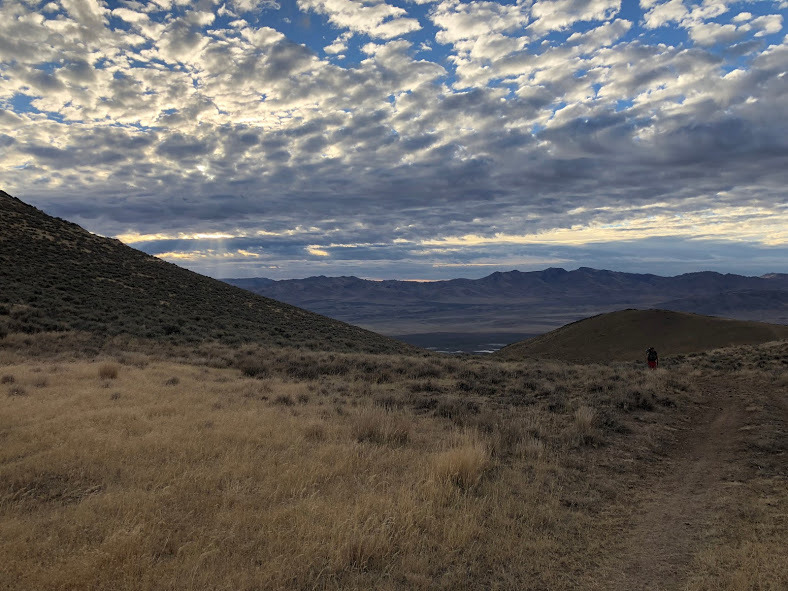 The present post is mostly a photo essay to provide a visual representation of the ODT, loosely in chronological order, with a few random notes from my trail journal mixed in. I hope it gives you insight into how diverse and stunning this landscape is. “We dropped down into the aptly named Painted Canyon. Cool early morning hiking. A million shades of rocks. Bruise purple, juniper berry blue, sage green, burnt orange, sun-baked-bone white. The canyon walls pockmarked with thousands of tiny caves. “We walked dirt roads for 8 hours today. The landscape went on forever. You reach the top of a small rise and the scene resets, road and sage on into infinity. Dust devils danced in the wind. Heat waves rose from the ground. So much space for the mind to wander. 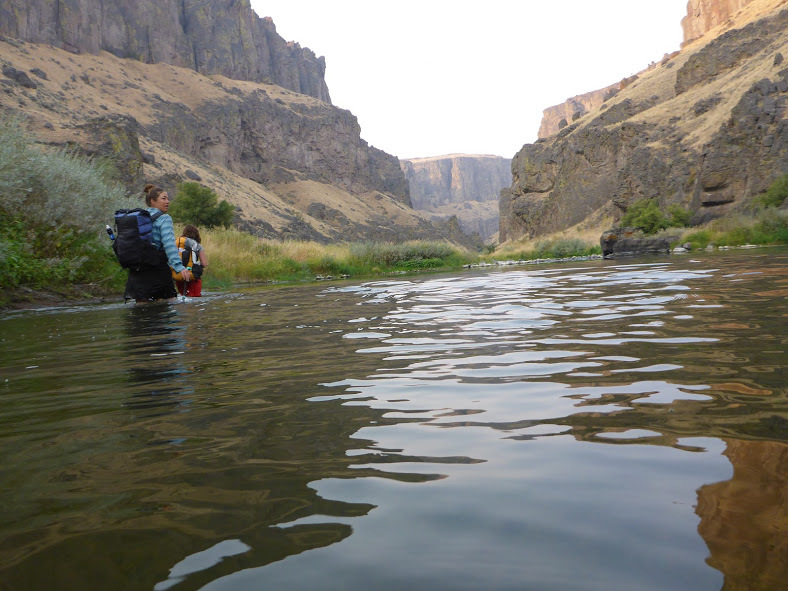 “Within a few miles, we’re forced into the river to make our way forward. 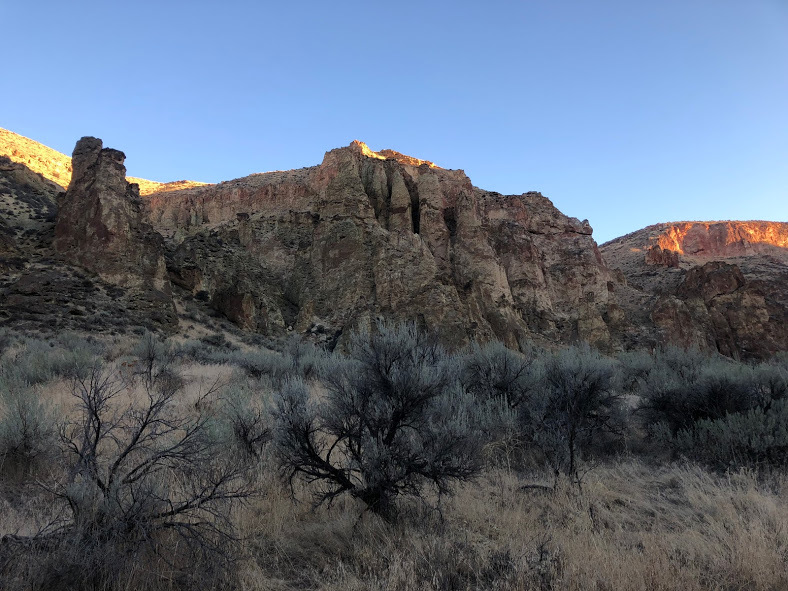 The walls of the canyon are rocky and steep and the small bank that comes and goes on either side is full of willows, grasses, briers, hackberry trees, sage bushes, and massive boulders. Canyon travel is difficult and we move at 1-1.5 mph. 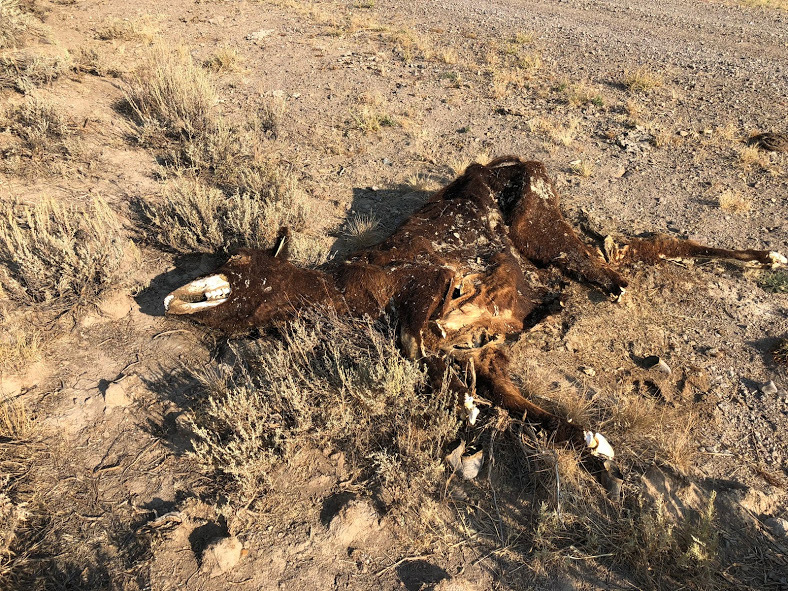 Let’s start with a quick story of an experience I had like this on the Oregon Desert Trail. 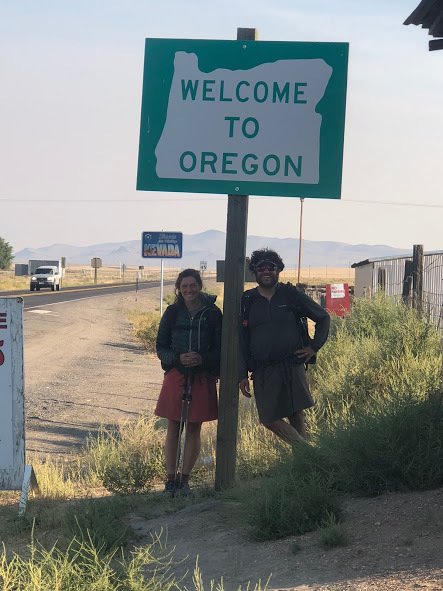 We had just walked the remaining 7 miles into McDermitt, NV, arriving around 8am for what would be the closest day we’d have to a zero on this 750-mile route through the very sparsely populated region of eastern Oregon. It’d been 10 days of 90-degree dusty desert hiking since we’d had a shower, and 6 days since we’d had any meals other than backpacking food. I was jonesing for some vegetables. I’d been dreaming of a big bowl of dark leafy greens with tomatoes, beets, walnuts, avocado, olive oil, and balsamic vinegar. Alas, as much as I’d prayed to the desert gods for some real, healthy food, I knew I wasn’t going to find it here. 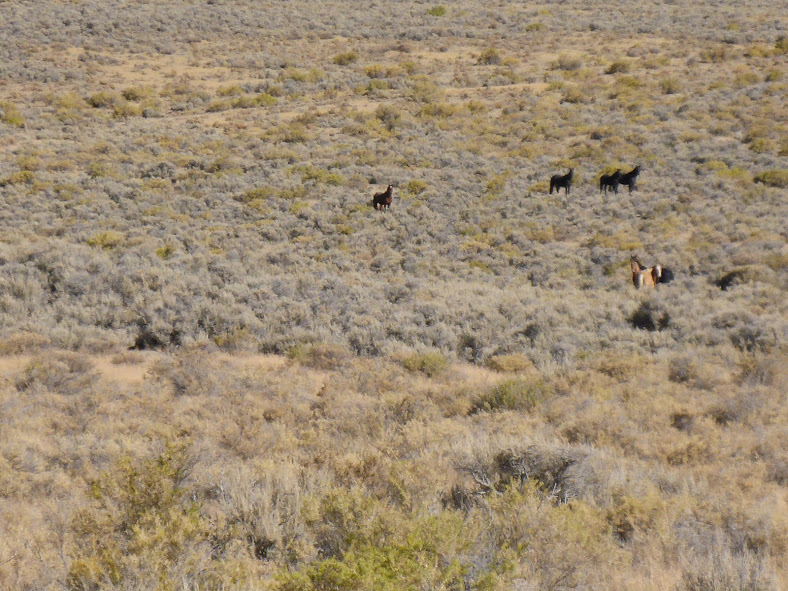 McD is a ranching, farming, and mining town that straddles the NV/OR border. It consists of a motel, a cafe/casino, a PO, a high school, and an all-in-one gas station/market/convenience store. This was one of the few places I didn’t mail myself a resupply box on the ODT and I was immediately regretting it. 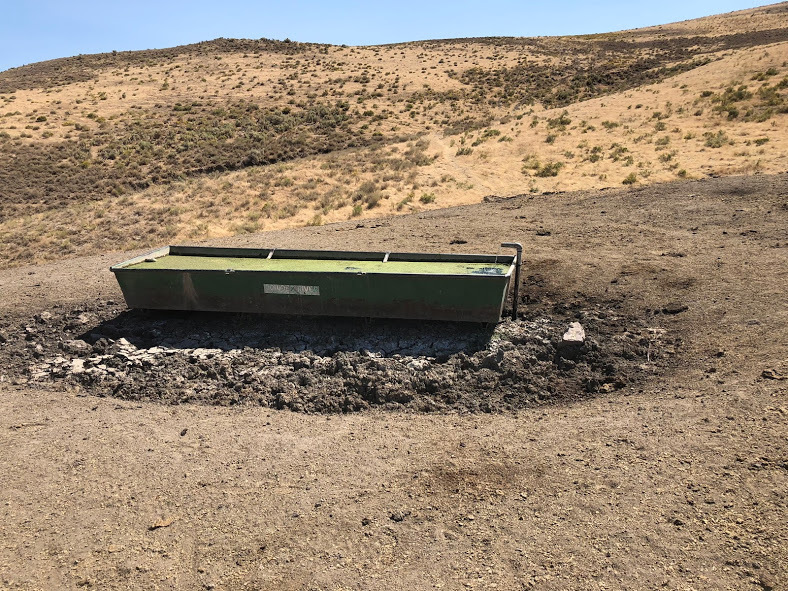 Veggies were sparse in McDermitt, NV. After our first (of four) meals at the Say When Casino and Cafe, it was time to create our resupply for the next 5 days. We walked into the small gas station/market/c-store and I saw about 8 rows of packaged foods, some coolers of soda and beer, and a small stand of “fresh” produce (Hey, at least there’s some produce at all!). Time to get creative. There are many such towns from which you may have to resupply, especially if you are going to hike any trails or routes off the beaten path. And especially if you decide to hike in one of the most remote regions of the country. First, accept that you’ll have to make some compromises, but don’t give up on the goal of healthy eating entirely! It may all look like junk, but some choices are better than others here. Let’s look more closely. Don’t make the process overwhelming. The process is simple. Until you get the hang of what items you need for a healthy resupply, and before going into the store, write a short list of ideas for breakfast/lunch/dinner/snacks/beverages. For efficiency and cost, choose items that can be used in multiple ways for different meals (like corn chips you’ll eat with PB for lunch and again with beans for dinner OR trail mix that can be added to oatmeal for breakfast or used as a stand alone snack). Keep your list general: nut butter, salami, breakfast bars, oatmeal, nut butter, etc. Be sure to have a mixture of flavors and textures as well as macronutrients (aiming for about 20% protein, 40% fat, 40% carb-or whatever feels best for your body). Browse the shelves. When you see an item from your list, you’ll likely see multiple different varieties (chips/pb/trail mixes/etc). Which to choose? Look at the ingredient label. You are looking for the least number of ingredients possible. You are also looking to avoid added industrial oils, preservatives, food colorings, and high fructose corn syrup when possible. Unfortunately, it’s not always possible in these tiny stores, but do your best. You are also looking for items in their most whole food/least processed form. Focus on proteins, healthy fats (olive oil, avocados, coconut oil, nuts), and low sugar carbs. If there is a produce section, look for the freshest (not wilted or bruised), most nutrient-dense items to either pack out or eat before leaving town. Amazingly, many of these tiny places sell avocados (great for potassium, fiber, antioxidants). Bags of spinach or carrots are also widely available and easy to pack out. Before leaving the store, use your phone calculator to quickly get an estimate of the calories. This takes less than 5 minutes and can help you avoid overspending on (and carrying) food you don’t need and/or assure you that you have enough if you’re feeling uncertain. For the amount of calories you need each day, that will take a bit of experimentation, but use this calculator (or something similar) to get in the ballpark, and adjust from there depending on terrain, climate, and whether you’re losing a bunch of weight or not. Add up the calories in your basket and divide by the number of days you plan to be out. Voila. If you want to go above and beyond, calculate your macros to be sure you have the right ratios of fat, protein, and carbs. This would likely be easiest by entering the foods into a free app, such as MyFitnessPal. My calorie goal for 5 days early in the trip was about 11,500, or 2,300 per day. Here’s what I found in the convenience store. A couple items, where noted, were leftover from my last box, but these calories could have been substituted with other bars or trail mix or another avocado from the c-store. I usually pack just a little bit extra, such as a couple bars, for calories in case I’m hungrier than expected or take longer to reach the next town than expected. As you can see, it’s not ‘perfect’ in terms of being organic, super high quality food, but it covers my nutritional bases, and it’s far from the typical pop-tarts/snickers/doritos resupply that could be purchased from the same store. Even when options are limited, you can still make good choices that will fuel you for optimal energy and endurance! Like what you’re reading? Sign up here to be the first to know when new posts are published! 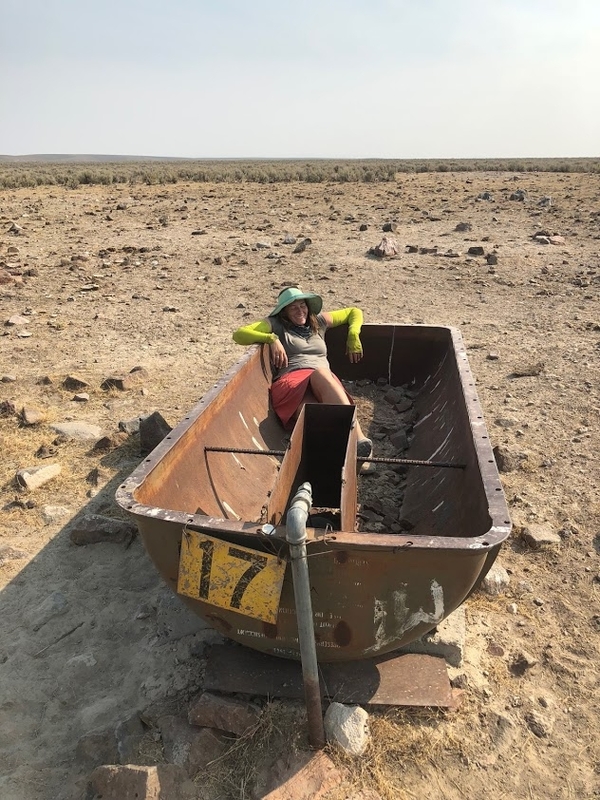 This post details how I planned my food for the Oregon Desert Trail. I’ll post more on general trail information and planning resources in a separate post. This one is all about where, what, and how much I planned for food resupply for the ODT. I’ll do a follow-up post when I return about how this plan worked out. Grab a cup of coffee. This is a long one, but hopefully you’ll find it’s jam-packed with useful info. The following table details where I sent each box, the calorie goals for each day, the specific food I sent, and how that broke down in term of macronutrients (percentages of fat, carbs, and protein), as well as total food weight carried. The calorie goal for each resupply box is in the top left corner of the table for each location. The actual calories in the box are at the bottom of the table for each section, which is also where you’ll find the macro breakdown and the food weight of the box. I loosely track daily calories and nutrients with the app MyFitnessPal. To create my calorie goals, I used that data of my current intake and expenditure, coupled with knowledge from previous hikes. The numbers may seem low considering that I’m 5’7″, have a normal BMI, and I’ll be hiking 25-30 miles per day. However, I made them low for a couple reasons: 1) I’m still recovering from a hypo-thyroid issue, and the thyroid is the master regulator of metabolism, so my current basal metabolic rate (BMR) is lower than it has been in the past. I know this because I track my calorie intake and weight. While some might consider the downside of this being that ‘I have to’ eat less food to maintain my weight, the upside of a currently lower BMR is that ‘I get to’ eat less food to maintain my weight. That’s convenient when you’re backpacking and you have to carry it all on your back 🙂 And reason 2) The time frame (30 days) is relatively short, so I won’t get into full on hiker hunger, and if I do go into a calorie deficit, it won’t be for long. You’ll also notice that in each box I include several hundred additional calories above the goal amount, just in case. Let’s start by saying that I strongly believe in bio-individuality. Every body is different. Figure out what works best for you. I mean that in terms of both what your diet is made up of, as well as in terms of calories and macronutrients, and in terms of specific foods you do or do not tolerate well. Food quality and a focus on whole foods is the constant and the details are variable. I’ve found that I thrive when I eat a diet higher in healthy fats, moderate in protein, and slightly lower in carbs. The numbers in this chart show my diet as generally being 50-60% fat, 10-20% protein, and 30-40% carbohydrate. Off trail, the fat number tends to be higher and the carbs lower, but this is how it settled out for the trail and I’m comfortable with that. We’ll see how I feel. Also, I’m aware that in the table, the macro percentages don’t always add up to 100%. In a couple spots they add up to 102 or 105%. I believe this is due to averaging values for different varieties/flavors of granola, bars, etc. While this is not ideal, the data is still accurate enough to give a good reflection of what the nutritional spread looks like. All foods in this resupply plan are gluten free and dairy free. This list does also not rely heavily on grains or added sugars, though there are a few in there. The focus is on including real foods with either no ingredient list or very short ingredient lists made up of recognizable foods. To avoid toxin exposure, most of these foods are organic. I firmly believe in doing the best you can, and not obsessing about being perfect. While I’m all for eating a high-quality diet on trail, don’t let the idea overwhelm you to the point where you give up before you start. Start where you’re at and any small improvements you can make in food choices and quality will translate into feeling better on trail and supporting a cleaner environment. Supplements I’m carrying: Magnesium Citrate Powder to help with muscle relaxation and sleep; Turmeric capsules to reduce overall inflammation; Vitamin C for electrolyte replacement and antioxidants; and probiotics to maintain optimal gut health. Not a ton, just the basics. I also have cordyceps mushroom powder in my morning smoothie mix, along with the coconut creamer, collagen, chia, and spices. The cordyceps is for improved oxygen utilization and endurance. The spices, while not necessarily supplements, serve similar anti inflammatory and medicinal roles. 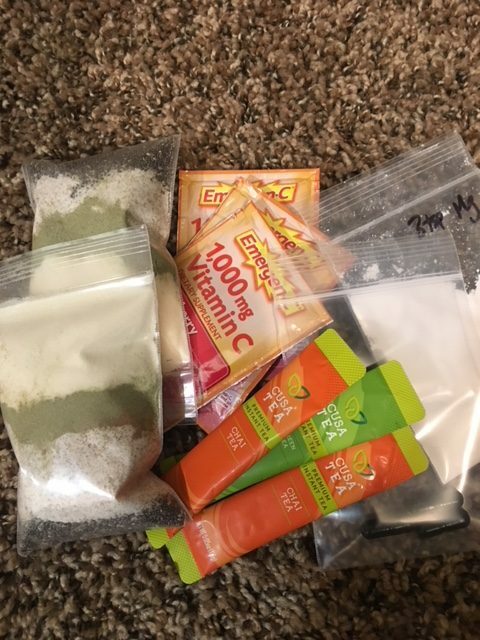 Need help planning your own resupply? Learn more here. In the table, I left most food descriptions fairly general because I want to convey that in many instances you don’t have to choose one specific brand, and you can often find healthy substitutions that are either more available to you or suit your preferences better. I want the focus to be on the overall quality of the food and the idea that you can fuel a long distance hike with whole foods, made up of real ingredients. The following are the specific brands I carried on this hike. 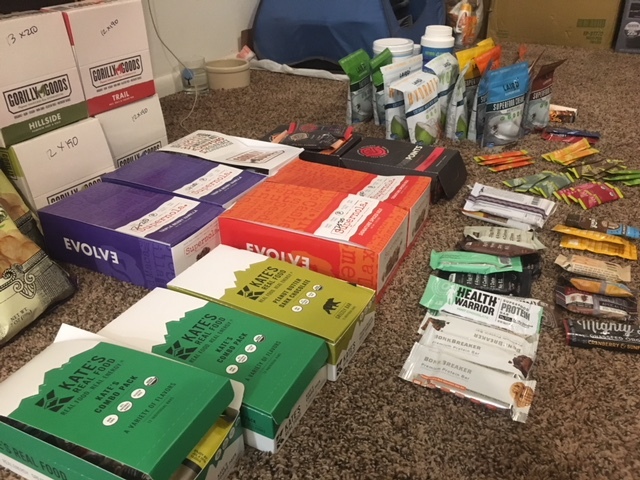 While some of this food was donated to me, these are all brands I had tried in advance and approve of the ingredients and nutrition profile. Trust me, I wouldn’t be carrying them if I wasn’t certain they would fuel my hike properly. 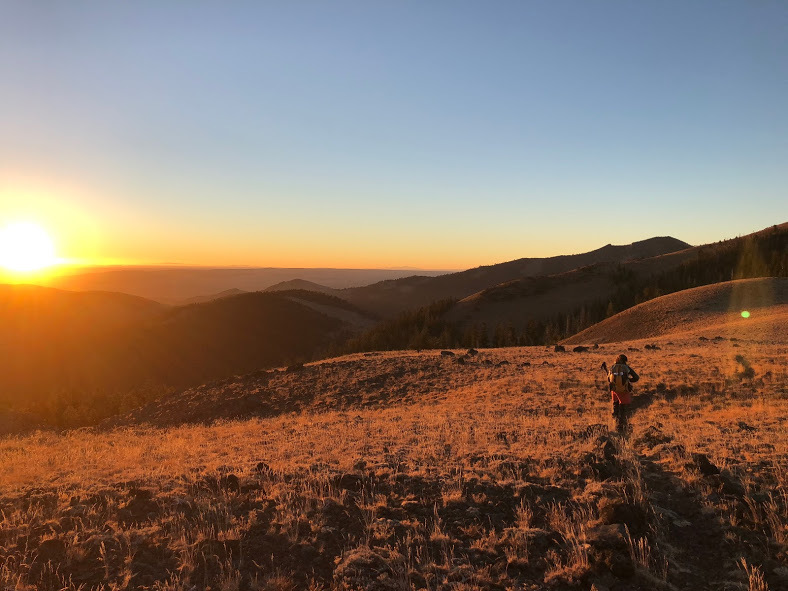 Having gone through adrenal and thyroid issues in the past, I’m well aware that my energy and my body are my greatest asset on any long distance hike. It’s worth it to me to be thoughtful in my food choices, as well as in what brands I support. I like to feel aligned with the brands behind the products I consume to the extent that I can. This also goes for the gear I purchase. If you want ideas for additional foods on my shopping list beyond what’s listed here, download my free Healthy Hiker Grocery Guide here. Despite my best efforts, this chart is a bit difficult to read. For a copy of the chart, as well as a template for your own resupply planning, click here: ODT resupply. Questions? Post them in the comments below. All information contained in this website is for informational purposes only and is not a substitute for medical advice. Statements made are not evaluated by the FDA and are not intended to prevent, diagnose, treat, or cure any conditions. Readers are advised to consult their physicians when implementing new dietary and health practices.